Book Lots 301-350 - Mike Clum Auctions Inc.
301. 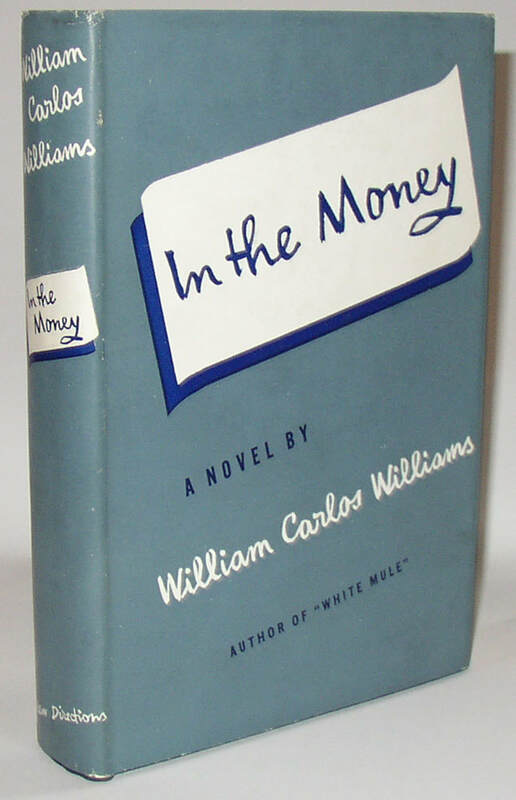 William Carlos Williams, In the Money, signed US 1st edition in dust jacket. Norfolk, CT: New Directions, 1940. 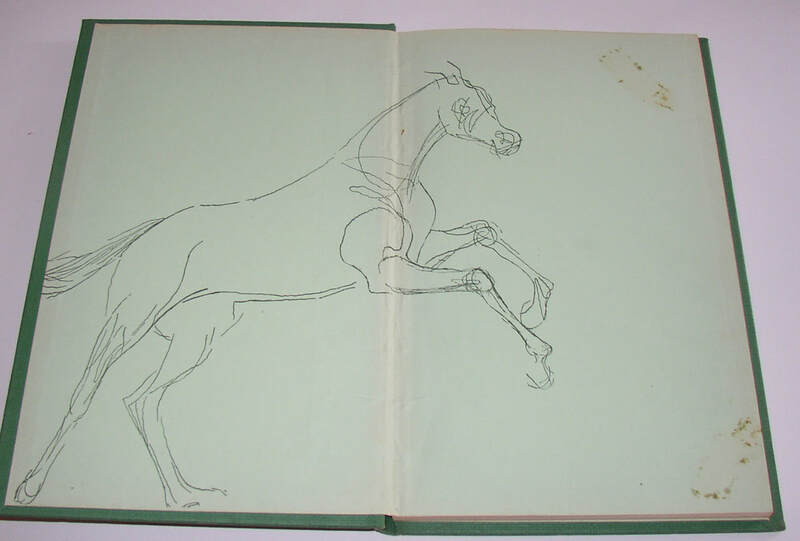 A beautiful copy of this sequel to Williams’s White Mule, signed without inscription on the front free end-paper by Williams. A superior copy. Condition: Book is Near Fine; jacket has some mild wear, especially at the edges. Very Good Plus. 302. 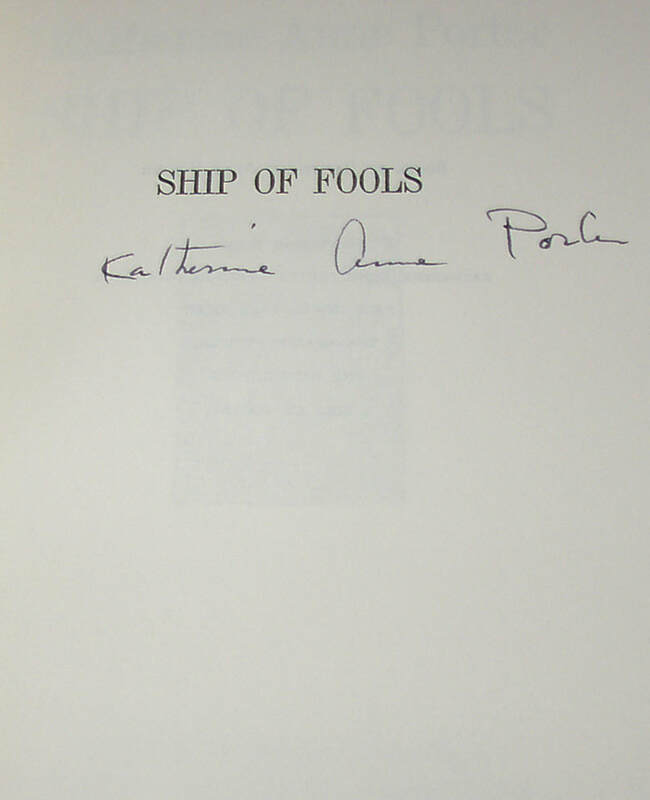 Katherine Anne Porter, Ship of Fools, signed US 1st edition in dust jacket. Boston: Little Brown, 1962. 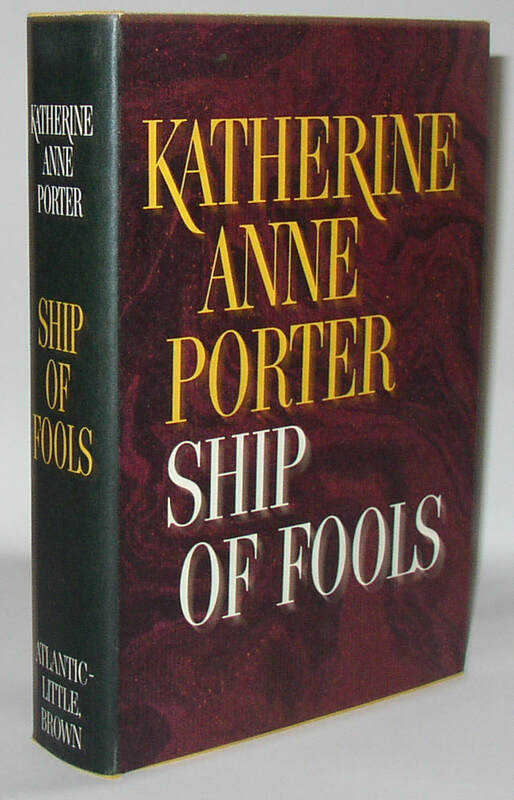 First Edition stated, with the author’s signature below the title on the half-title page. An as-new copy. Condition: Very mild shelf-soil, else as new. 303. 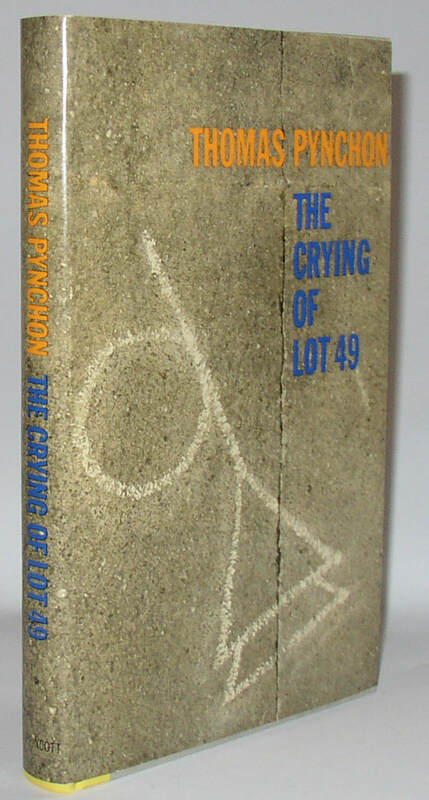 Thomas Pynchon, The Crying of Lot 49, US 1st edition in dust jacket. Philadelphia: Lippincott, 1966. Pynchon’s second novel. Like New. Condition. Apparently unread, and Fine/Fine. 304. Jack London, The Iron Heel, 1st US edition (1906). New York: Macmillan, 1906. A nice copy of London’s important dystopian novel. Condition: Very Good, with a previous owner’s bookplate, some wear at the tips, and some very minor unevenness to the color of the top-stain. 305. 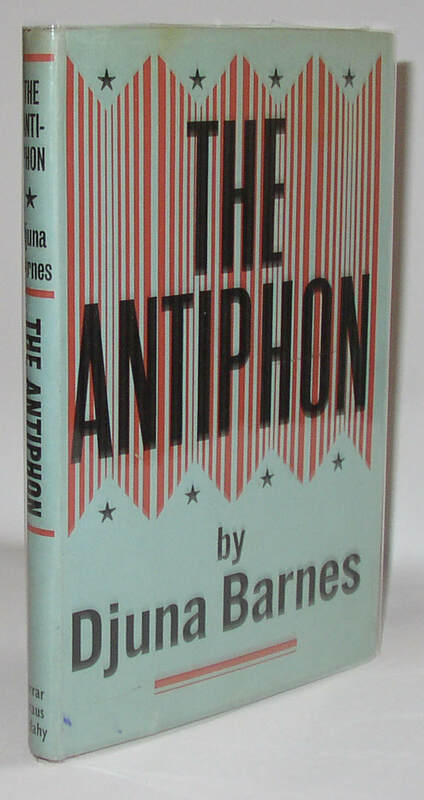 Djuna Barnes, Signed 1st edition presentation copy of The Antiphon. New York: Farrar, Straus & Cudahy, 1958. 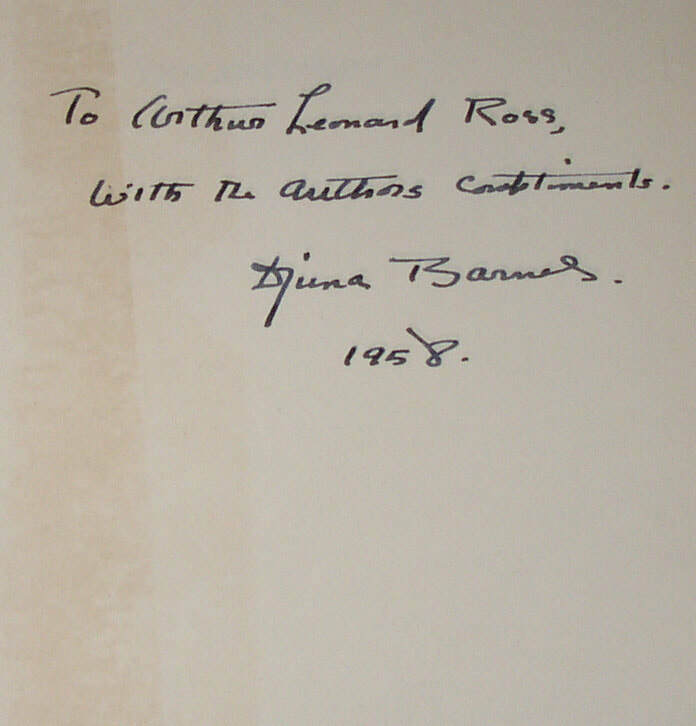 Signed and inscribed on the front free end-apper by Barnes: “To Arthur Leonard Ross,/ with the authors compliments./ Djuna Barnes./ 1958”. Signed copies of this title seem to rarely appear on the market. Condition: Book has some toning to the end-papers; jacket has a mild wrinkle or two and some light wear at the edges. Includes: Truth (Chicago: The Bookfellows, 1923). Signed limited 1st edition (number 247 of 285 copies), also signed and inscribed on the dedication page (although not to the dedicatee), and yet again on the front free end-paper. 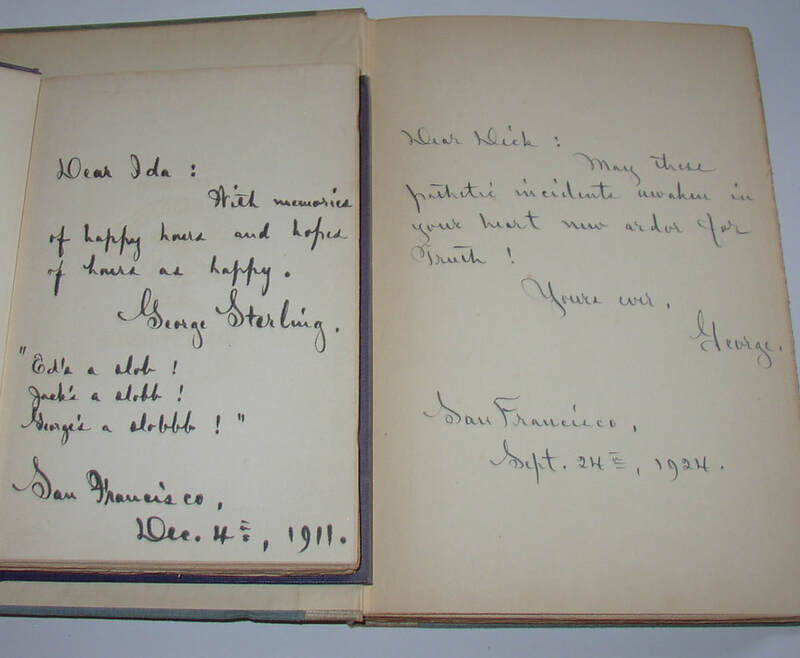 Surely an unusual copy that Sterling signed three times; and The House of Orchids (San Francisco: A M Robertson, 1911), signed wonderfully on the front free end-paper: “Dear Ida: With memories of happy hours and hopes of hours as happy. George Sterling ‘Ed’s a slob! Jack’s a slobb! George’s a slobbb!’ San Francisco, Dec 4, 1911.” It may be impossible to determine whether on not the Jack referred to as a slobb (with two bs) is Jack London, though the two were close enough as friends. Sterling was a very well-known west coast poet of his time. 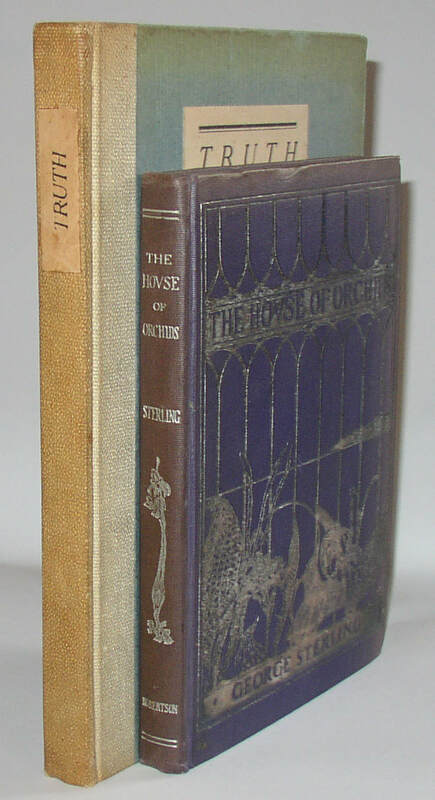 Condition: Truth with some external soiling; abut VG; Orchids with fading/tarnishing to silver print on front board and with bookplate of Ida H Winship. About VG. 307. 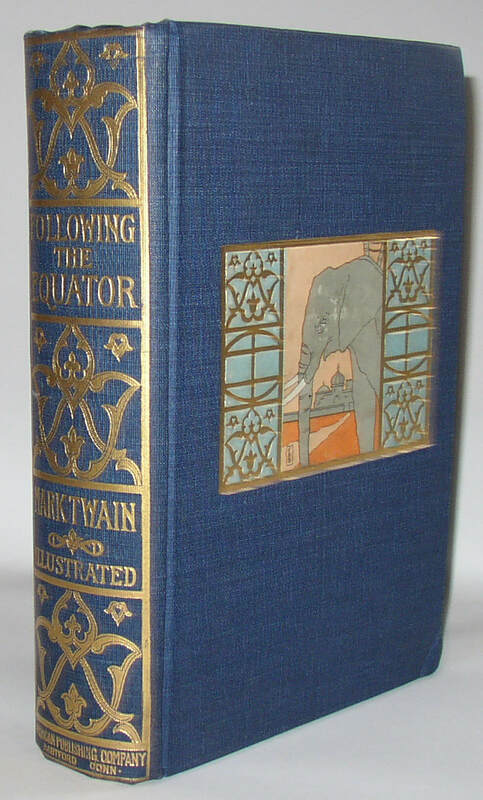 Mark Twain, Following the Equator, US 1st edition (1897). Hartford: American Publishing Company, 1897. 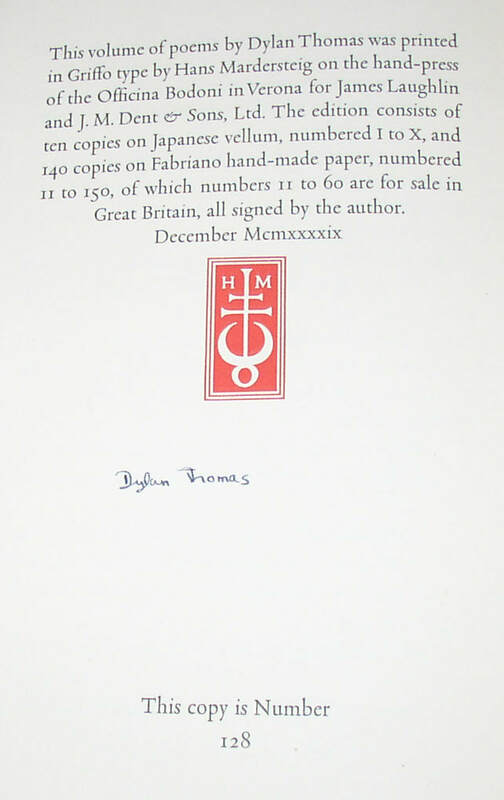 First edition, first printing, with only the one publisher listed and with gathering signature “11” on p, 161. A clean and visually appealing copy. 308. Dylan Thomas. Deaths and Entrances. 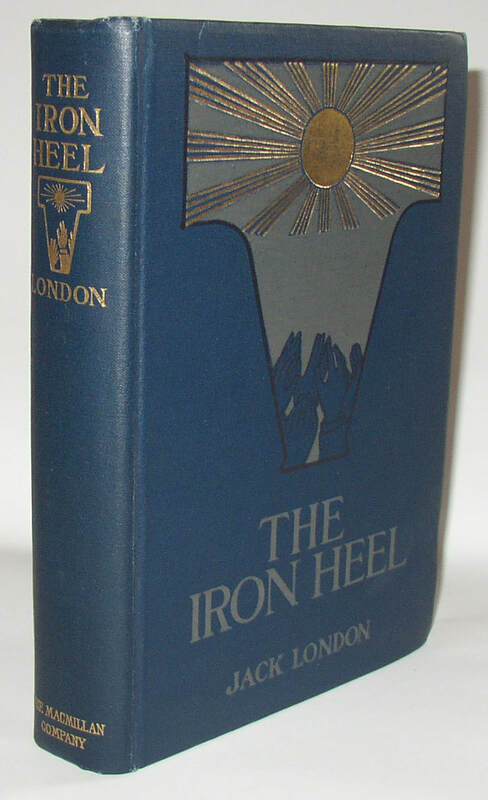 UK 1s edition in original dust jacket (1946). London: J M Dent, 1946. 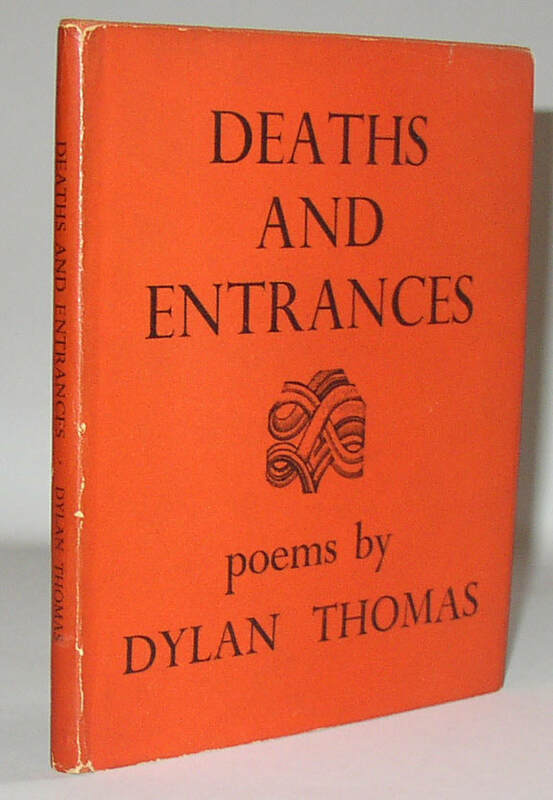 A key title for Dylan Thomas, this copy very attractive in the original dust jacket. Condition: NF/VG: some mild wear at spine edges of jacket and at the very tips of the flap folds. 309. 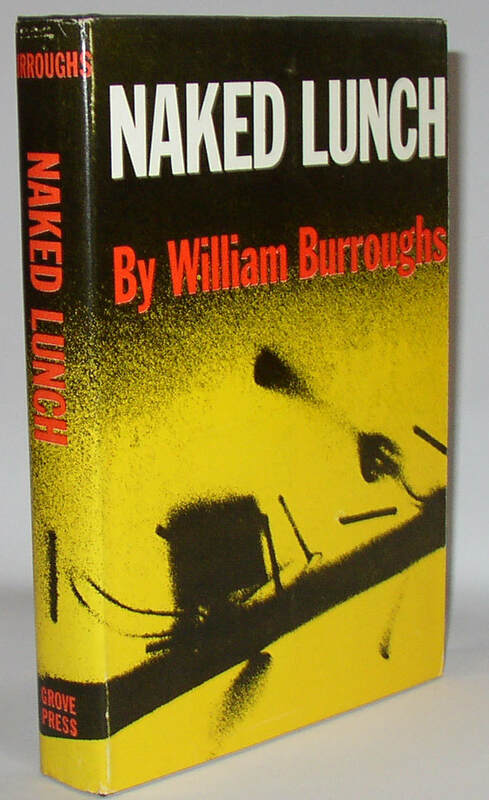 William Burroughs, Naked Lunch, Grove Press US 1st edition in dust jacket (1959). New York: Grove Press, 1959. First printing stated on the copyright page. Burroughs’s breakout book. Condition: A very nice copy indeed: book is close to Near Fine, with a bit of darkening to the gilding of the spine. Jacket has a bit of wear at the spine ends and along the joint between the spine and the front panel, especially at the top. NF/NF overall, I think. 310. 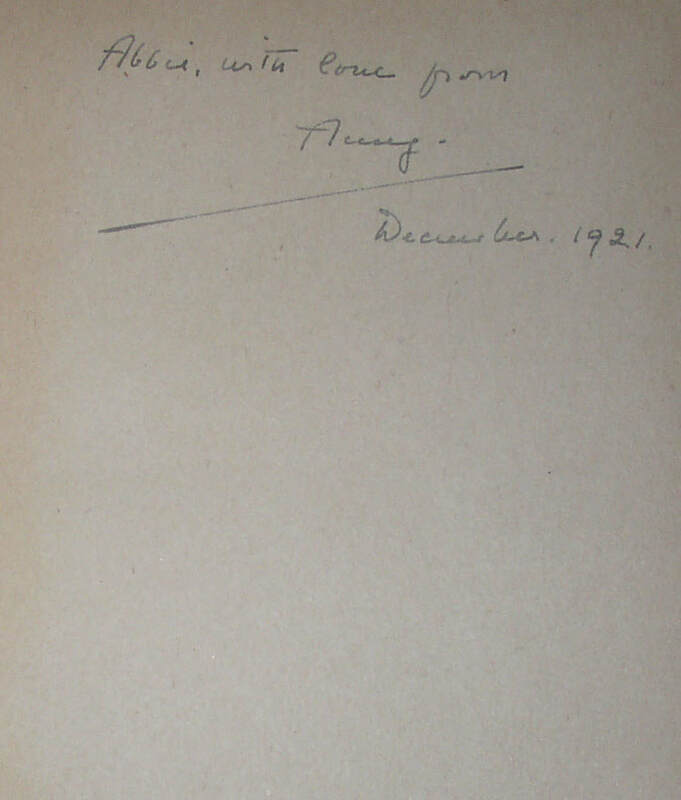 Eugene Field, Second Book of Verse, Author’s Presentation copy to his wife, the dedicatee. Chicago: Melville C Stone, 1892. One of twelve presentation copies on Japan paper; number 5 of the twelve. But this copy is distinguished by Field’s bookplate on the front paste-down, an inscription (To Julia/ with all my best love/ Eugene Field./ 1893” on the front free end-paper, and tipped in is a manuscript copy (labelled “First Copy; original draft destroyed” of the poem “Love Song I (The Little Woman)” which is used in the book as a dedicatory poem on pp. v-vi, before the Table of Contents. 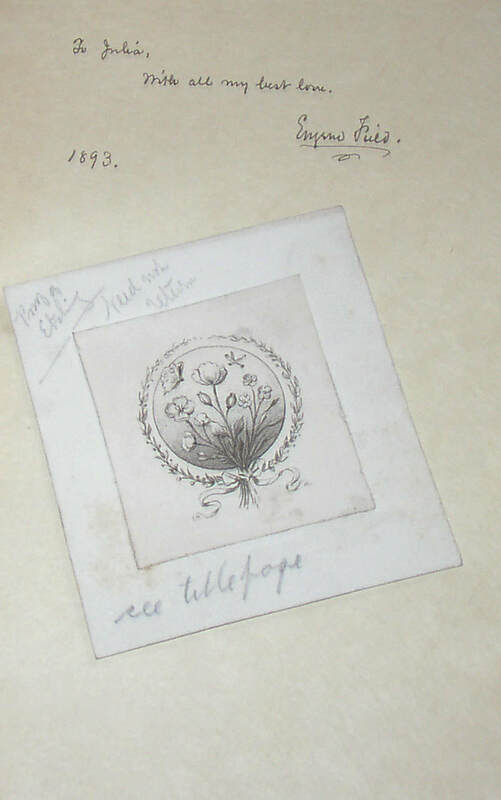 Also laid in is a proof copy of the floral vignette used on the title page. 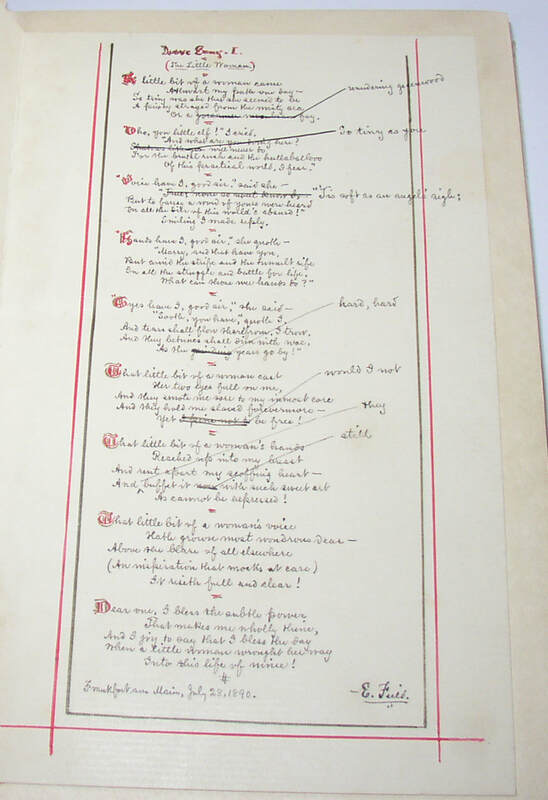 The manuscript poem is dated in 1890 and is not strictly a fair copy, as it has bits crossed out and rewritten. Surely the finest copy of this book imaginable. Condition: some soiling or darkening here and there, but VG or better overall. Now held in a stiff chemise and slip-case. 311. 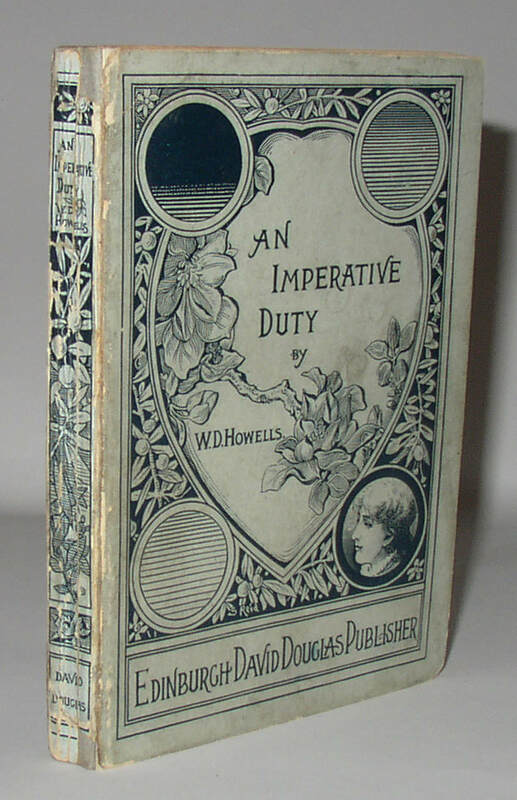 William Dean Howells, An Imperative Duty, 1st UK edition, signed and inscribed by Howells. Edinburgh: David Douglass, 1891. [With 1891 on the title page, but 1892 on the rear wrap). 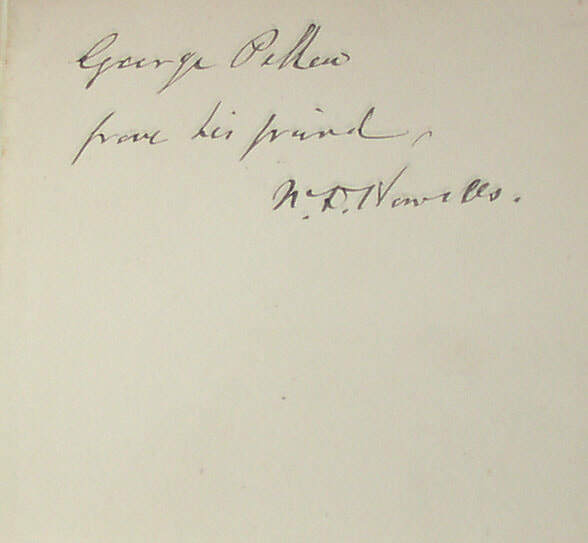 Signed on the front free end-paper “George Pellew/ from his friend/ W. D. Howells.” I believe this is the first UK edition, which appeared about two weeks later than the US first edition. Wrappers. Condition: Near VG, with wear and chipping at spine, which is somewhat angled. The front and rear covers may have been re-attached, if so, it was done quite neatly. 312. 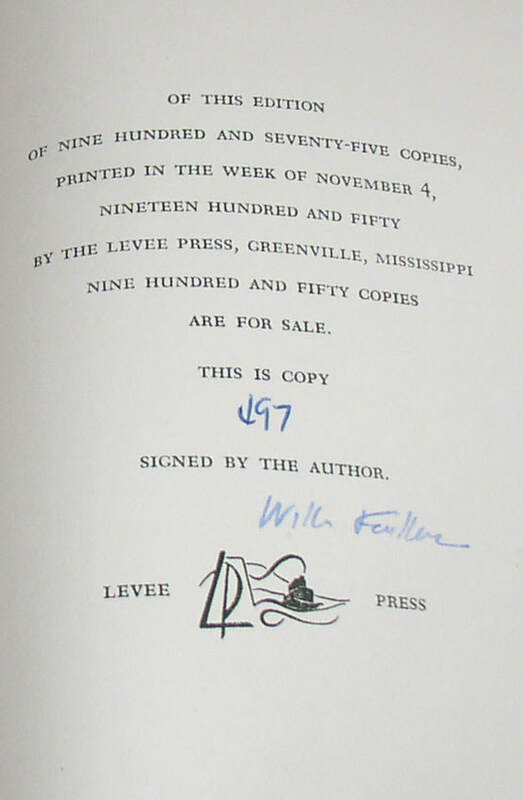 William Faulkner, Notes on a Horsethief, signed limited 1st edition. Greenville, MS: Levee Press, 1950. 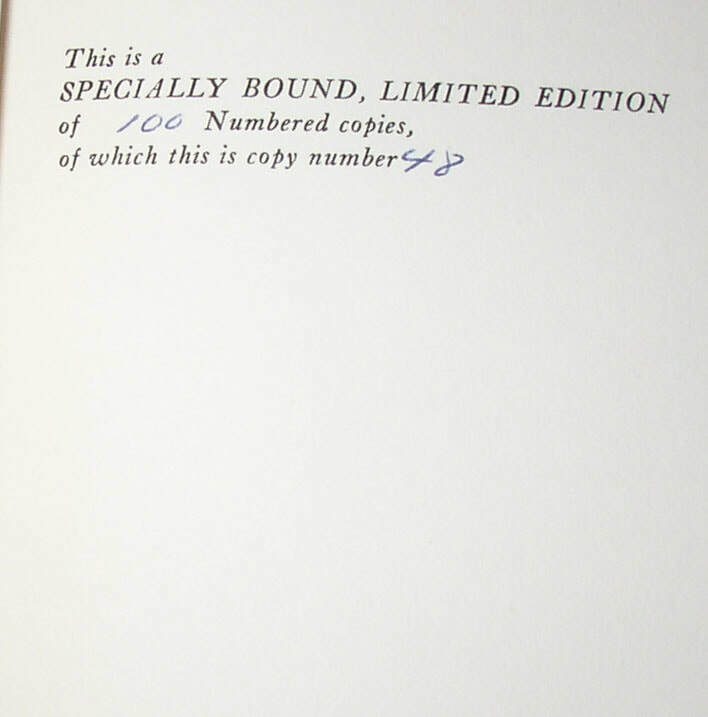 Number 497 of a limited edition of 975 coies, signed by Faulkner on the limitation page. Collectible. 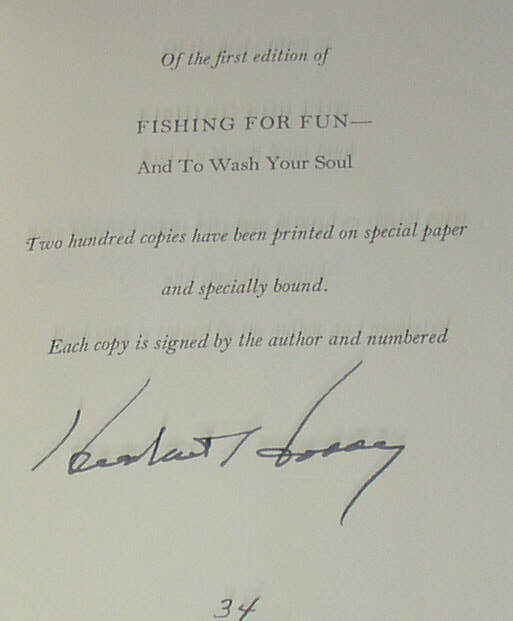 Condition: about VG: ghosts of old cellophane tape appear on the freen endpapers, suggesting a plastic or paper wrapper was once used to protect the book, the tape discoloration indicating that the tape was not affixed to the book, but adjacent to the free end-papers, leaving the fixed end-papers unaffected. Somewhat unsightly, but not very severe. 313. 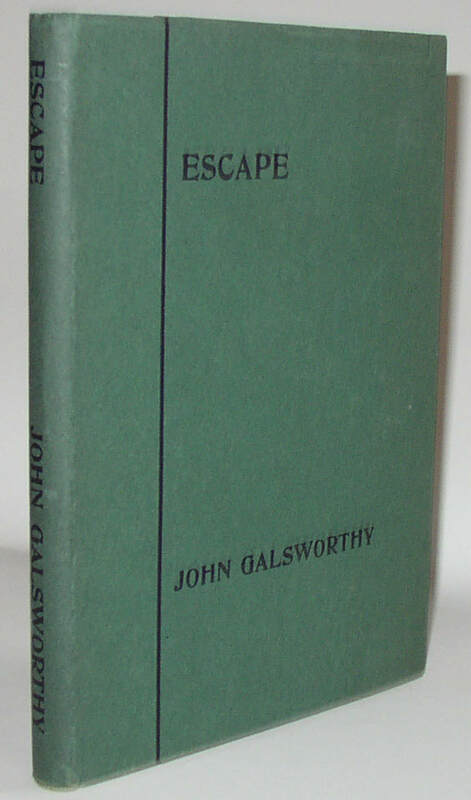 John Galsworthy, Escape, signed and inscribed 1st edition in dust jacket. London: Duckworth, 1926. 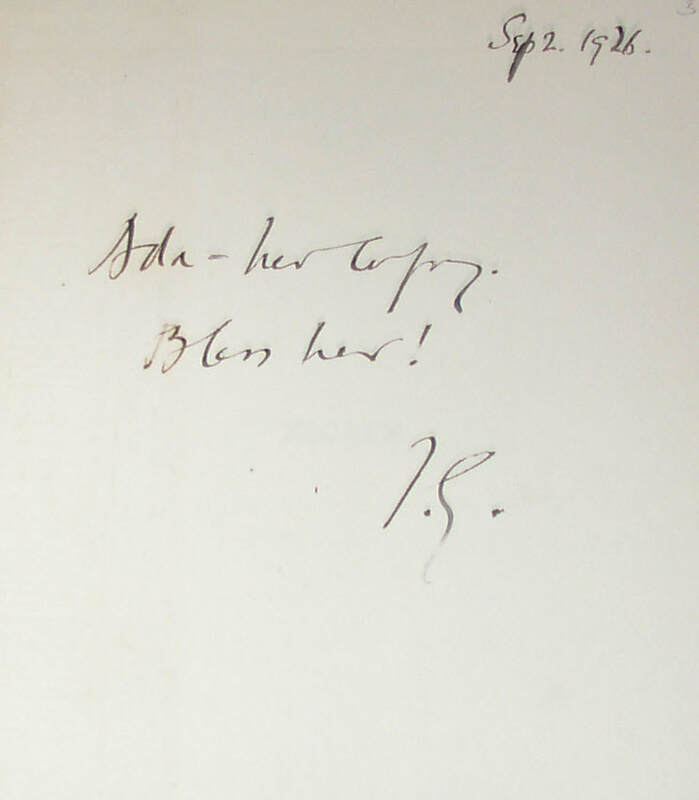 A scarce play by Galsworthy, inscribed on the front free end-paper, “Sep 2 1926/ Ada—her copy/ Bless her!/ J. G.” Scarce signed. Condition: Book shows some foxing spots to pages but is otherwise Near Fine; jacket is Nearly Fine. 314. H.D. 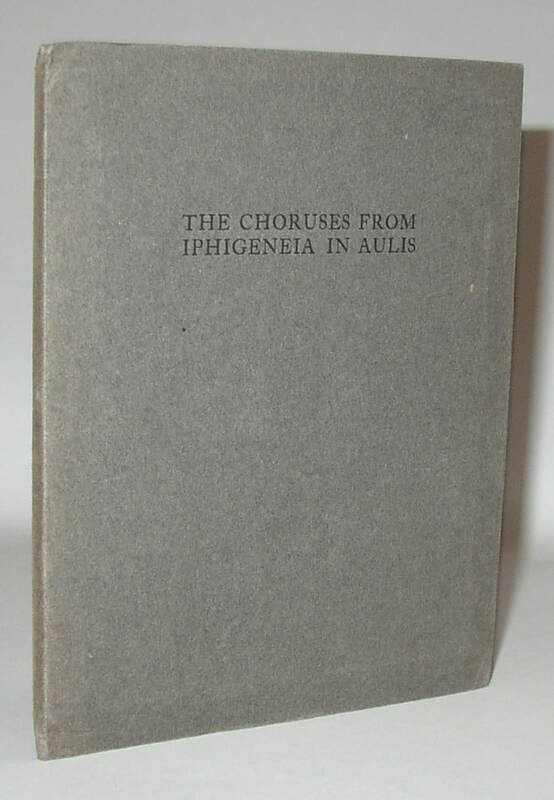 The Choruses from Iphigeneia in Aulis, 1st US edition, limited to only 40 copies. Cleveland: The Clerk’s Press, 1916. Number 19 of 40 total copies. One of the very scarce small-limitation Clerk’s Press books, but also H D’s first US book. Very scarce, of course. Condition: Near Fine, with light bends to wrappers where they extend past the text-block. 315. 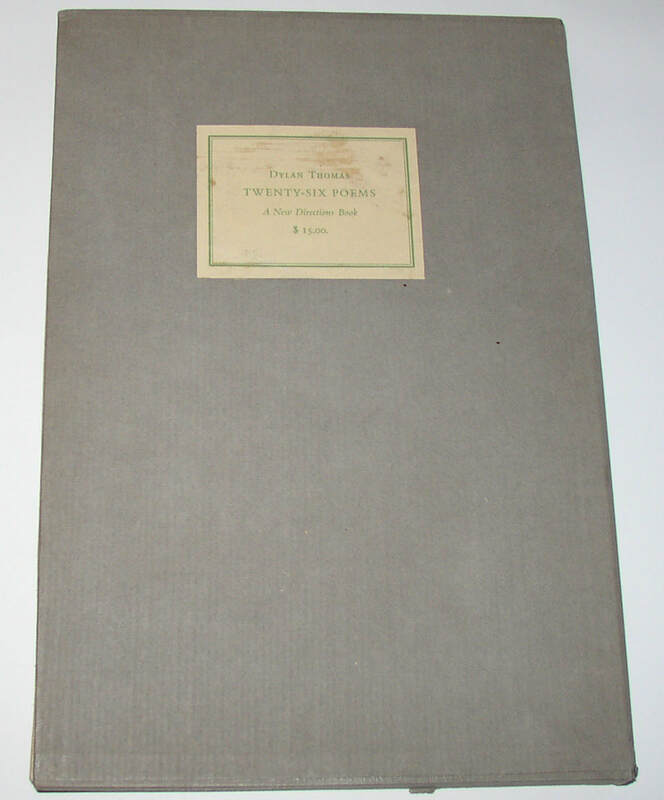 Dylan Thomas, Twenty-Six Poems, signed limited 1st edition. New Directions, . Number 128 of a total of 150 copies; this one intended for sale in the US. Very scarce and collectible book from this important poet. Original slipcase present. Condition: book with mild darkening to spine, probably from glue. Case with some exterior soling, and some glue-darkening to the paper label, and a minor bump and equally minor wear, but no splitting. Overall, Near Fine/Very Good Plus. 316. 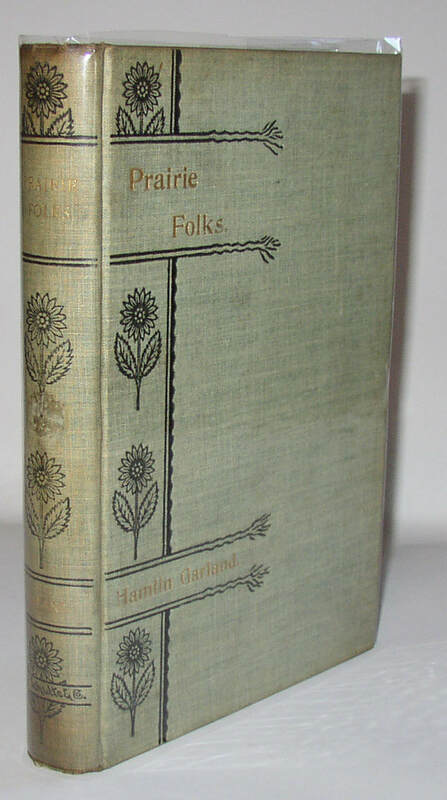 Hamlin Garland, Prairie Folks, 1st edition inscribed to the publisher, F J Schulte. Chicago: F. J. Schulte & Co., 1893. Hardcover in green cloth, printed in gold and black. 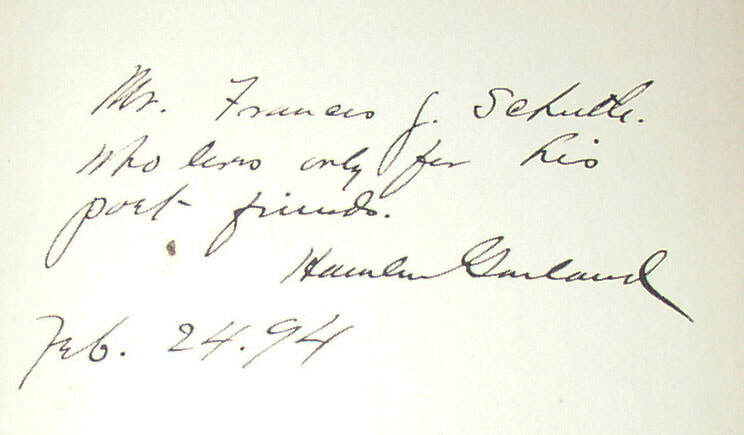 Signed and inscribed to F. J. Schulte on the front free end-paper by Garland in 1894: “Mr Francis J Schulte/ Who lives onl for his/ poet friends./ Hamlin Garland// Feb 24. 94.” A fine early example with an association inscription. Condition: Mild darkening and wear at the ends of the spine and the bottoms of the boards. A few threads from the cloth beginning to break free. Remains of a small circular label on the spine. Very Good, or nearly so. 317. Weldon Kees’s copy of James Laughlin’s New Directions in Prose & Poetry, 1941. 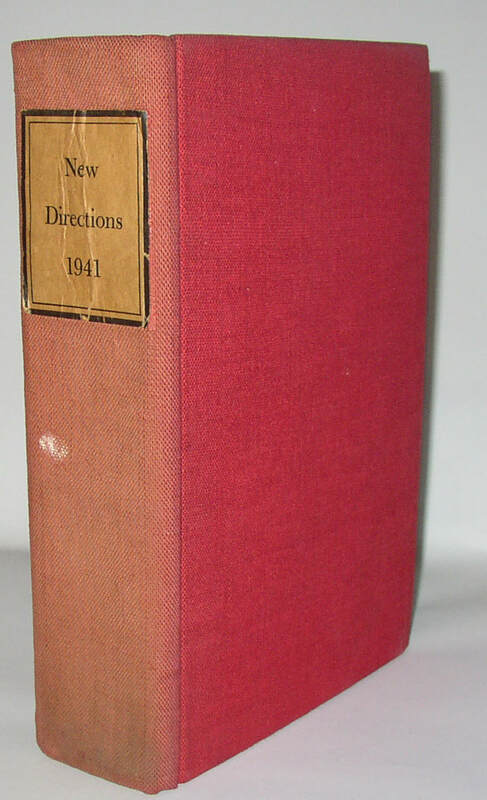 Norfolk, CT: New Directions, 1941. This is the version in red cloth, which is usually described as the second issue, though it’s at least possible that this copy is a contributor’s copy. 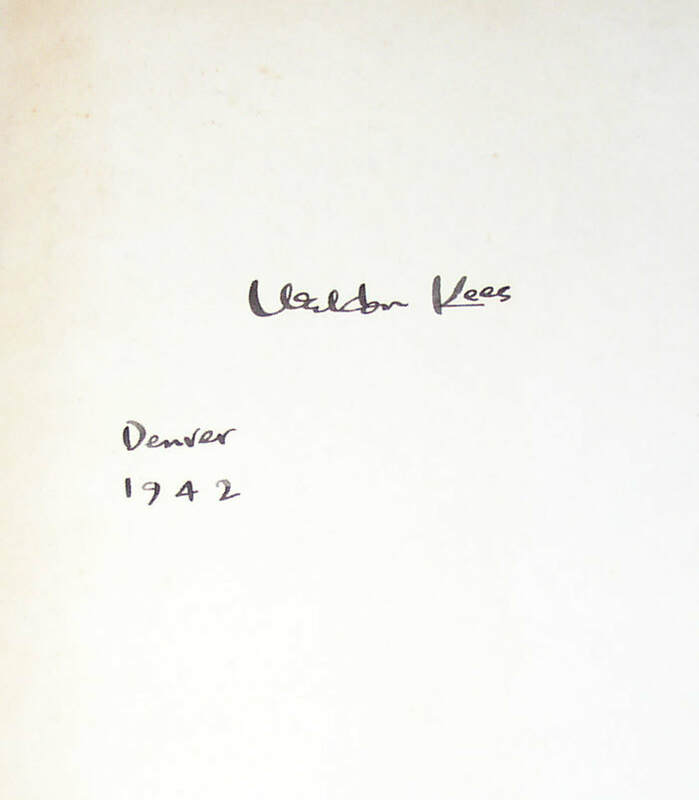 It is signed on the front free end-paper “Weldon Kees/ Denver/ 1942”. This predates Kees’s first solo book of verse (1943). No dust jacket. Kees does not seem to have otherwise written in the book. Condition: Very Good; two different paper stock have aged differentially, giving the text-block a two-tone appearance. Some fading and staining to the spine, and a couple drops of white (paint?) on spine and bottom edge. Some foxing/smoke-spotting to top edge. Darkening to end-papers. 318. 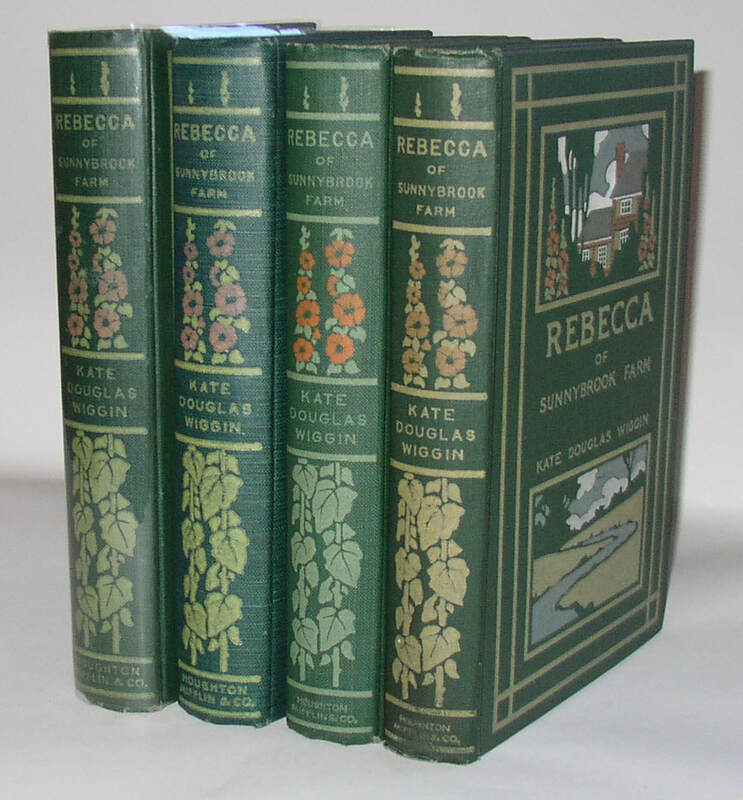 Four 1st edition copies of Kate Douglass Wiggin, Rebecca of Sunnybrook Farm. Boston: Houghton Mifflin, 1903. The BAL lists four 1903 printings, hypothesizing a specific ordering, according to which one of these is a first state or first printing (with changes made to neither 325 nor 327) and the others appear to be fourth in sequence (with changes made on both pages). The first state copy has the first binding with the publisher’s name in tiny letters on the spine; one of the other copies with the same size letters, and the other two with the larger letters. The 1st state copy has a previous owner’s inscription (non-authorial) reading “in memory of November 1st, 1903” while two of the others have Christmas 1903 gift inscriptions. A nice, though not complete, set of examples of the early variants in this collectible title; together the dated owners’ inscriptions add to the bibliographic interest. Condition: All about VG or better; one with a bookplate. 319. 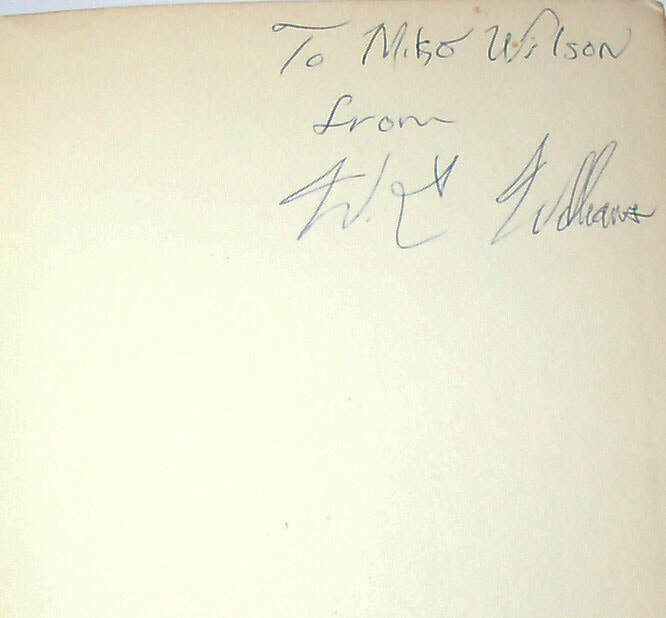 Louis Zukofsky, A 1-12, 1st edition (1959); author’s copy, inscribed and signed. Ashland, MA: Origin Press, 1959. One of 200 copies. 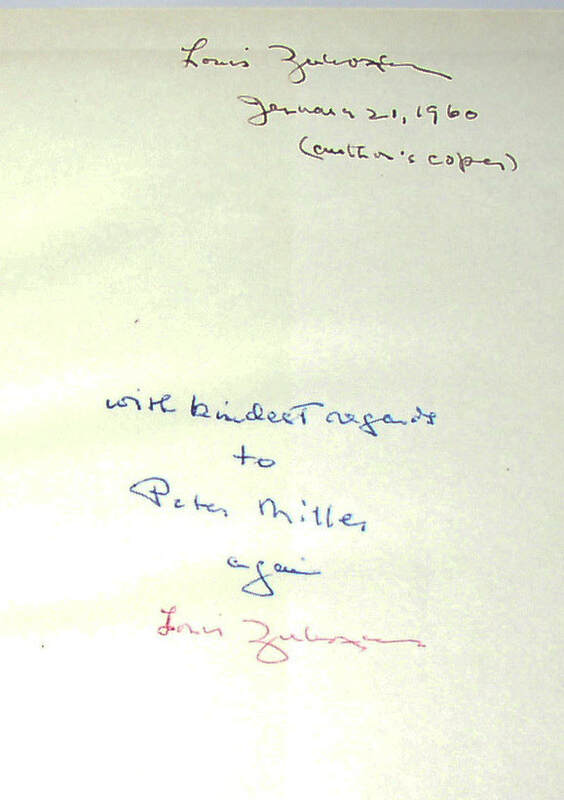 This one inscribed “Louis Zukofsky/ January 21, 1960/ (author’s copy)” and then, later “ with kindest regards/ to/ Peter Miller/ again/ Louis Zukofsky.” An especially important copy of this important book by Zukofsky. Condition: unprinted acetate jacket (original?) with some losses; errata slip taped with old cellophane to p,  resulting in stains to the nearby pages. Otherwise Near Fine. 320. 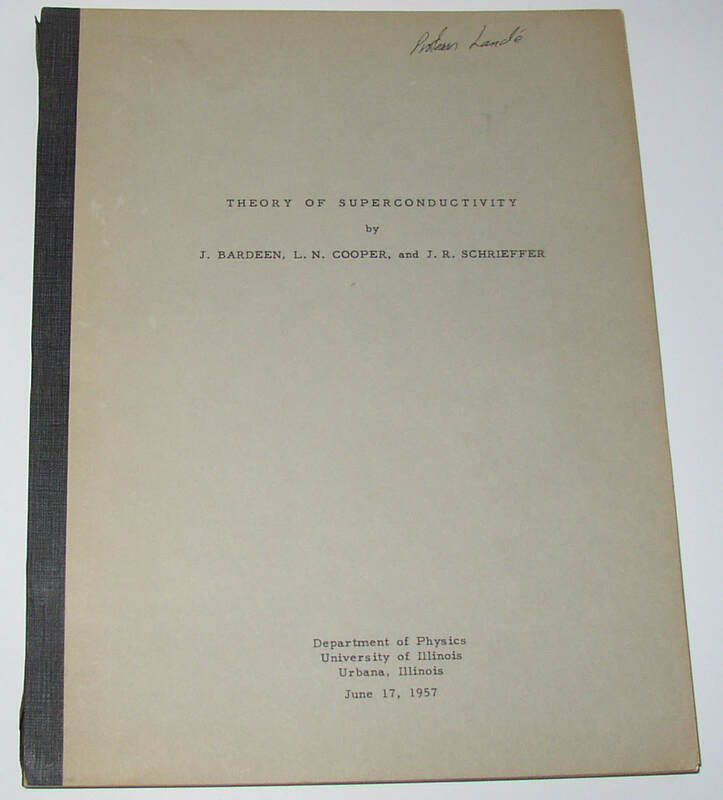 Nobel Prize winning work, Theory of Superconductivity, rare 1st edition, by Bardeen, Cooper, and Schrieffer. Urbana, IL: Department of Physics, 1957. The Bardeen-Cooper-Schrieffer (BCS) theory of superconductivity was one of the great theoretical insights of the 1950s physics world, and the three authors received the 1972 Nobel prize for this work. Copies of the published papers in Physical Review are available; this copy precedes those, and was published as Technical Report No. 9 and dated June 17, 1957. At the top of the first text page it reads “(To be Submitted to the Physical Review)”, so there seems no reason not to give this priority of publication. OCLC/WorldCat appears to record only a small handful of copies; this is surely a great rarity, and probably produced in very limited numbers in the first place. This copy apparently once belonged to Alfred Landé (the words “Professor Landé” written in ink on the front wrap) of the Ohio State University Physics department. Condition: some splitting beginning to the cloth binding strip; minor spotting. Very Good. 321. 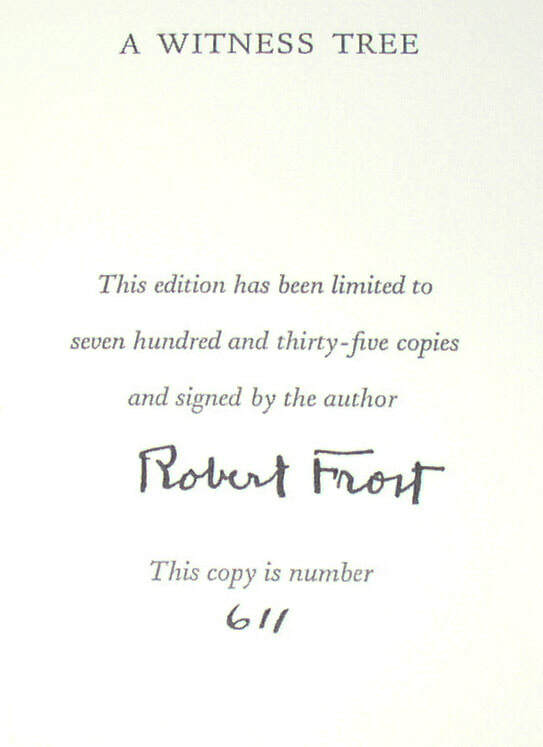 Robert Frost, A Witness Tree, signed limited 1st Edition (1942). New York: Henry Holt, 1942. Number 611 of 735 total copies; A super clean and unmarked copy. Condition: About Fine in a close to Fine slipcase. A beautiful copy. 322. 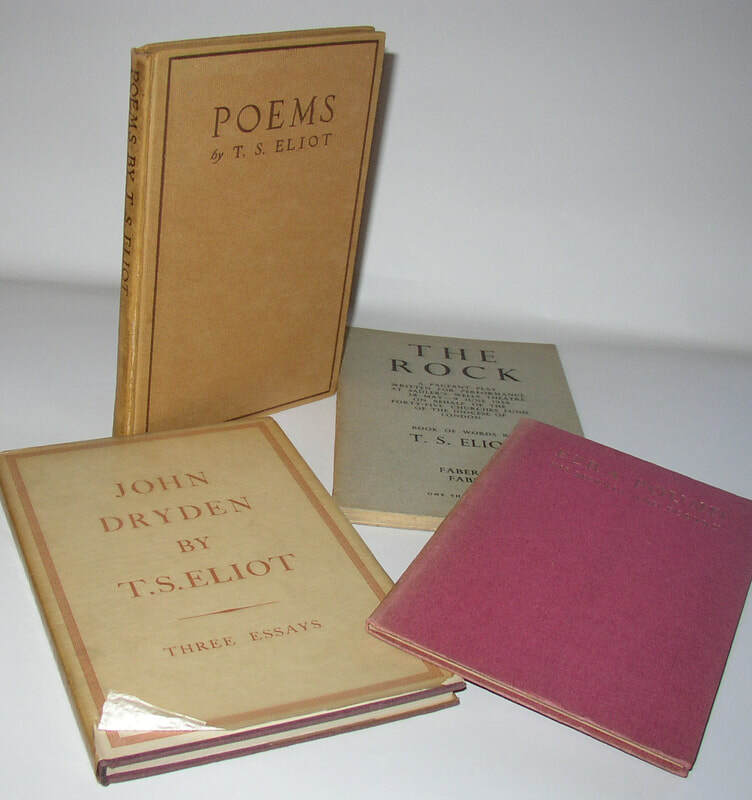 Four first editions by T. S. Eliot. Poems (1920); The Rock (1934); John Dryden (1932); Ezra Pound His Metric (1917). 1917-1932; Poems (New York: Knopf, 1920) US 1st edition, with the signature of “Ruth Forbes Eliot” (no apparent relation, I think); John Dryden (US 1st edition) in original dust jacket;. The Rock (London: Faber, 1934) in original wrappers, which is somewhat harder to find in good condition than the hardback. Ezra Pound His Metric and Poetry (New York: Knopf, 1917 (1st American edition). 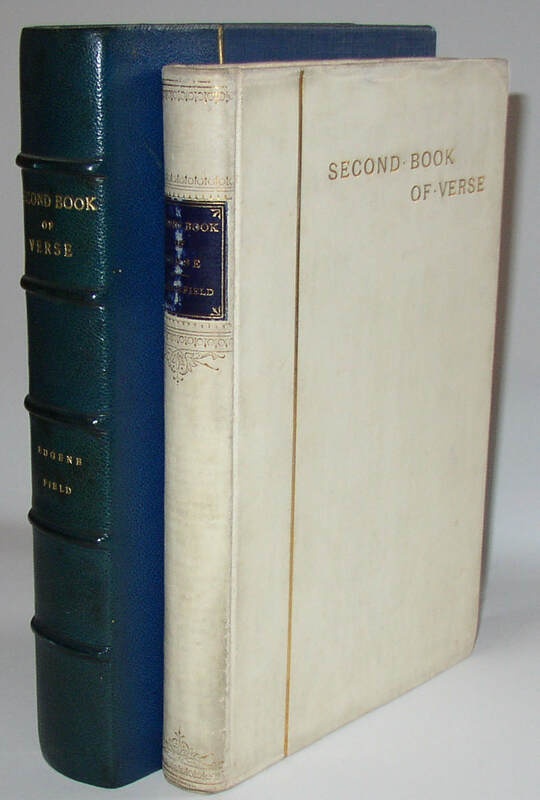 Condition: Poems with splitting along the spine, but with the spine still complete (VG); Ezra Pound with some fading to the spine (VG+ to NF); The Rock (NF); John Dryden (about F/NF). All in all collectible condition. 323. 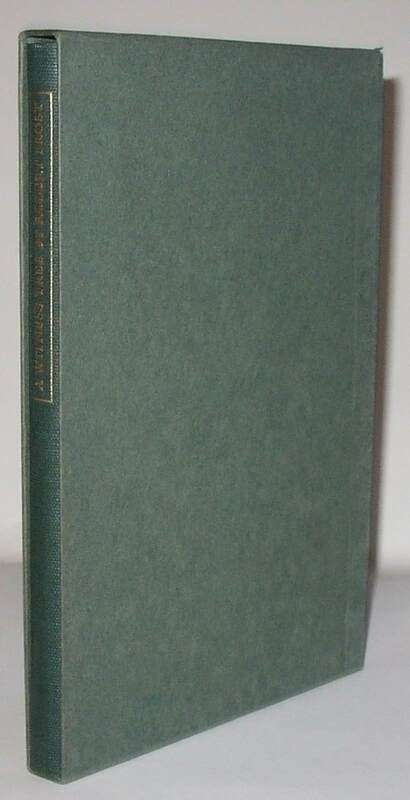 Samuel Becket, All That Fall, Grove Press US 1st edition, 1 of 100 copies. New York: Grove Press, 1957. Number 48 of 100 copies, as stated on the limitation page. No dust jacket present. 324. 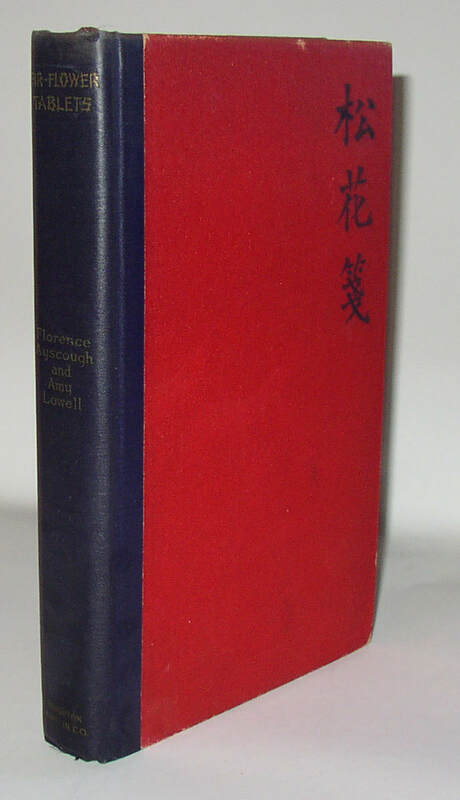 Amy Lowell and Florence Ayscough, Fir-Flower Tablets, 1st edition, signed by Lowell. Condition: Near Very Good, with the fragile red paper covering the boards worn through in several places at the edges. Gilded printing on the spine quite dulled. Some darkening to end-papers. 325. Volume 1 no. 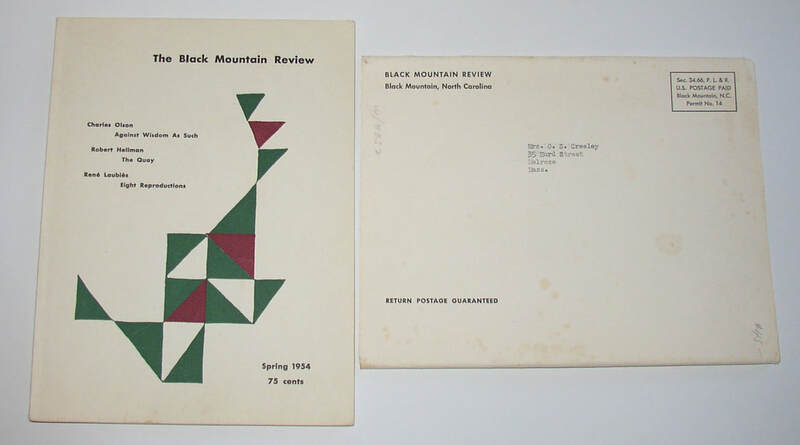 1 of Robert Creeley’s Black Mountain Review, signed and inscribed by Creeley to his mother. The very scarce first issue of Creeley’s influential periodical, which lasted only seven issues. This copy signed and inscribed by Creeley to his mother, and enclosed in the original mailing sleeve addressed (by typewriter) to “Mrs. O. S. Creeley”. An outstanding item. Condition: sleeve with minor foxing or staining on exterior; magazine with a couple small bumps possibly from its trip through the mails. 326. 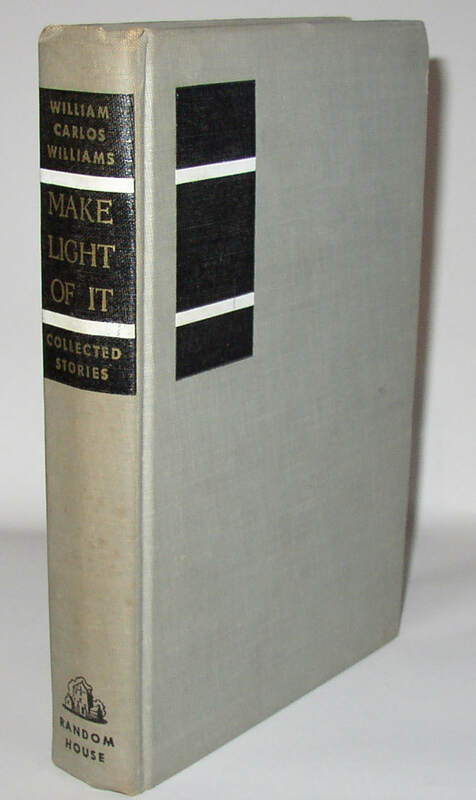 William Carlos Williams, Make Light of It, 1st edition, signed and inscribed by Williams. New York: Random House, 1950. 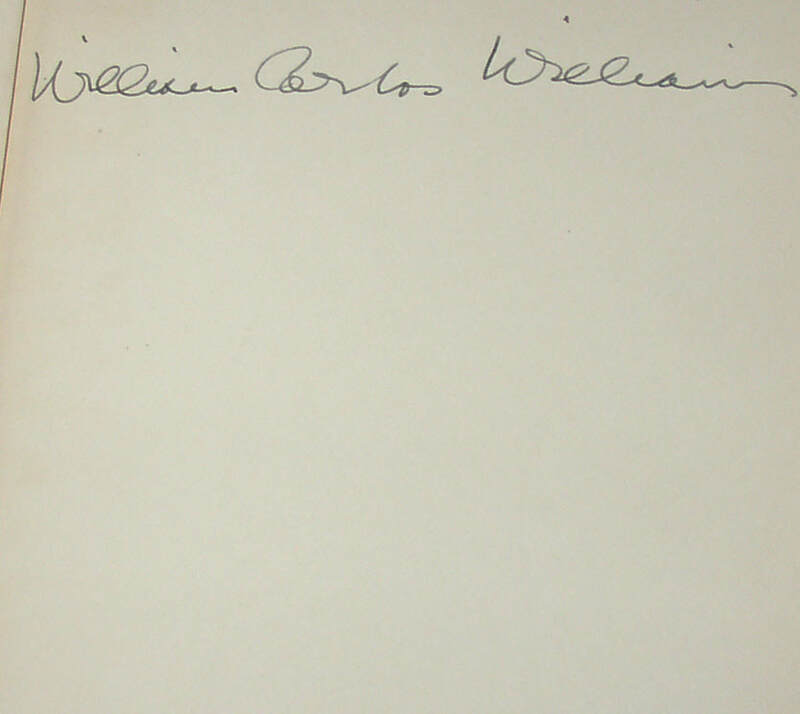 Signed with a brief inscription on the front free endpaper, with Williams signing as “W C Williams,” with a couple of angular flourishes. Scarce when signed. Condition: Near VG, with some wear around the edges and some spotting/fading (from liquid?) to top-stain; no dust jacket. .327. 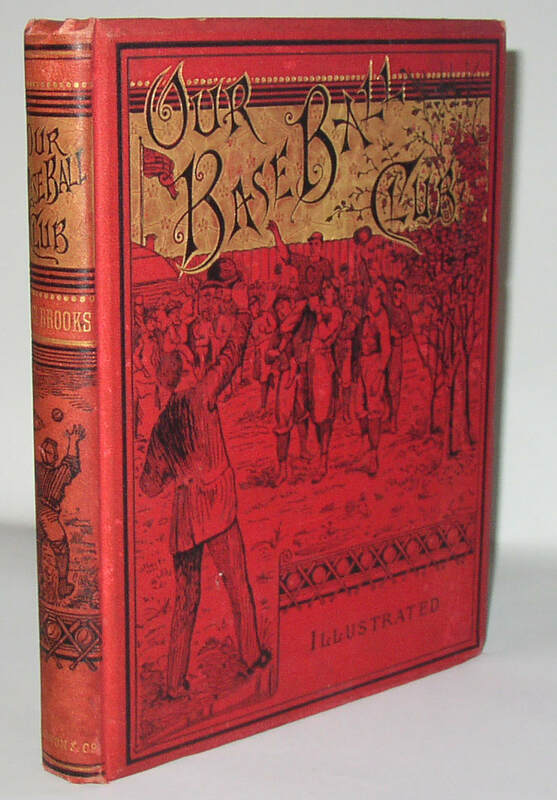 Noah Brooks, Our Base Ball Club and How it Won the Championship, 1st edition, 1884. New York: E P Dutton, 1884. A very collectible early book on baseball, often described as the first novel entirely about baseball, presumably because the author’s The Fairport Nine had non-baseball content of some sort. A very appealing copy in bright red cloth. Condition: Near Very God, with some crumpling at spine ends, light soiling to the exterior, and minor wear to the cloth (but nowhere is the cloth worn through). 328. 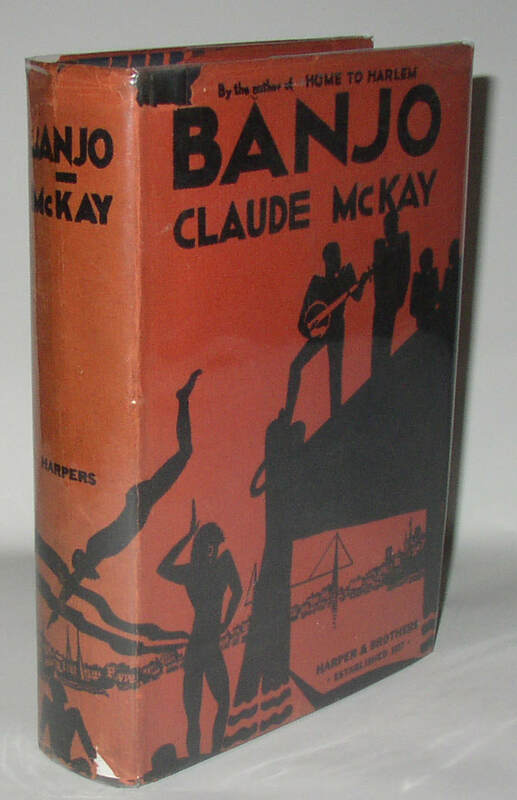 Claude McKay, Banjo, 1st edition in original dust jacket. New York: Harpers, 1929. First edition of this important Harlem Renaissance novel, which is surprisingly difficult to find in an attractive example of the dust jacket. Condition: Book about Very Good, jacket in slightly less good shape with 4 chips in the half-inch or so size range at the corners of the spine: the largest is at the top of the front panel; none affect any lettering. 329. 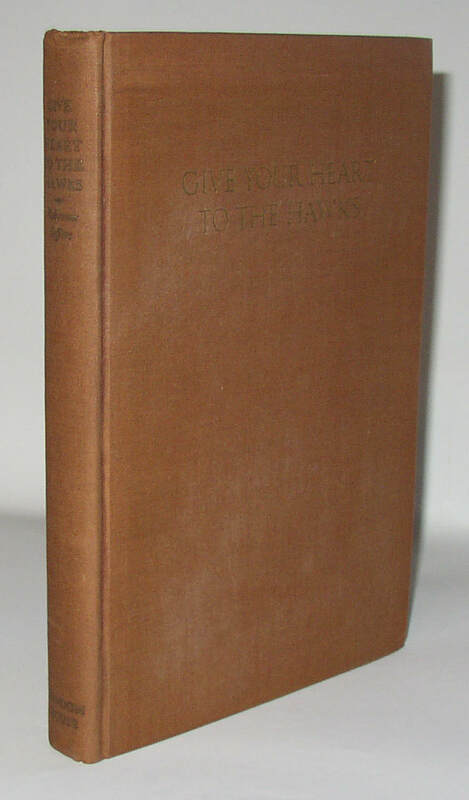 Robinson Jeffers, Give Your Heart to the Hawks, signed 1st edition, with poetic quotation. New York: Random House, 1933. 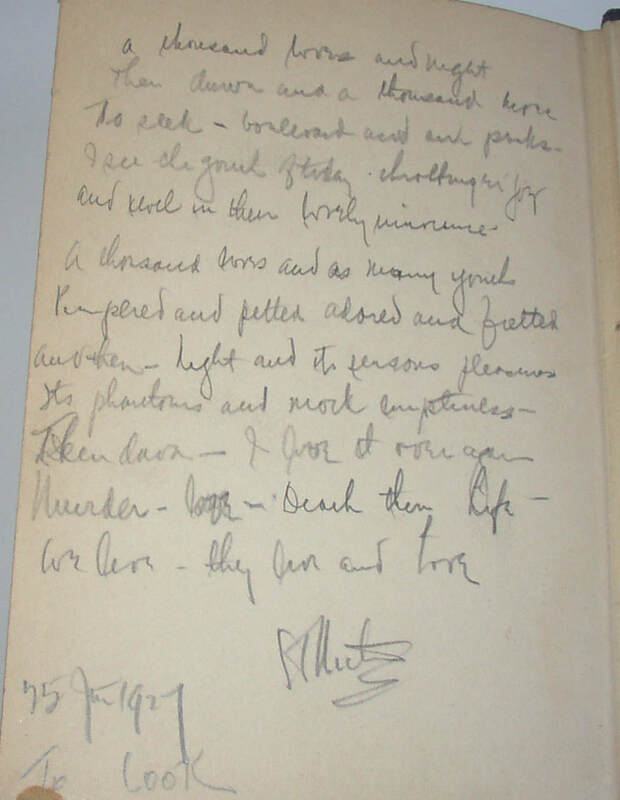 Signed with an inscription from the poem on page 105 by Jeffers, and dated/located to Tor House, Carmel, in October 1933. 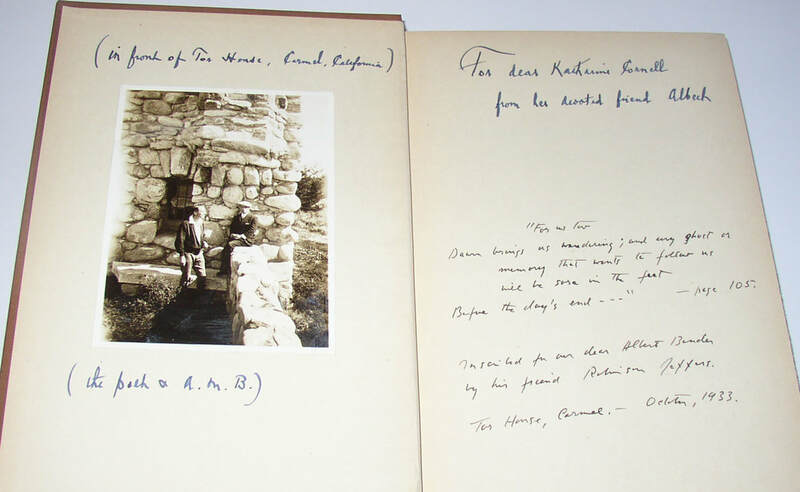 With a photo of the author and recipient at Tor House tipped to the front board and with a further inscription from the recipient passing to book on. The first recipient was a well-known San Francisco patron of the arts, Alfred M Bender, and he passed the book on to Katherine Cornell, possibly the well known actress. Condition: lacking dust jacket. Otherwise about Very Good. 330. 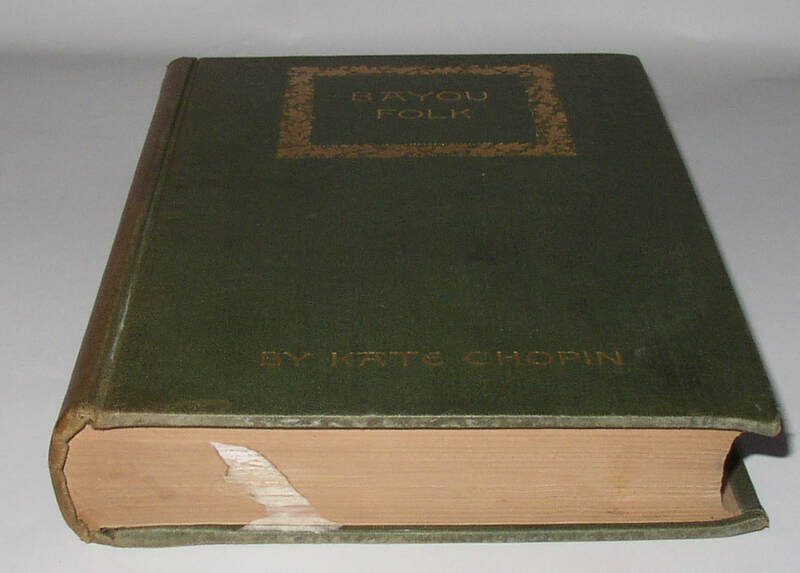 Kate Chopin, Bayou Folk, signed and inscribed 1st edition, 1894. Boston: Houghton Mifflin, 1894. 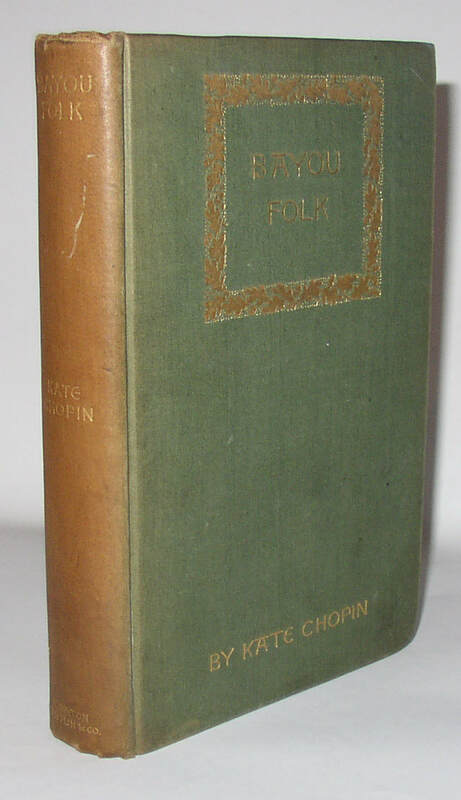 First edition, signed by both Kate Chopin and her son, Jean Baptiste Chopin. A third hand has identified a recipient and put in the date and location of St Louis, 1894. 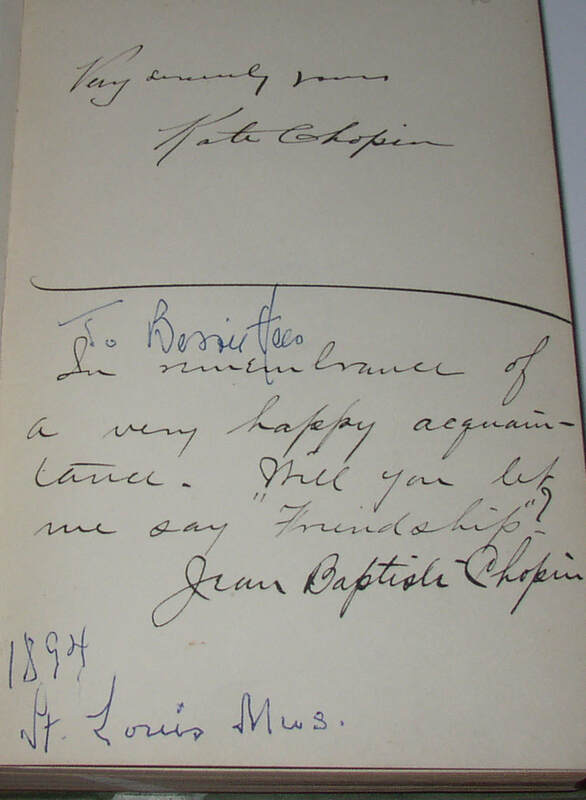 Books signed by Chopin are very scarce indeed. Condition: About Very Good, but with a white stain (paint?) on the bottom edge. 331. 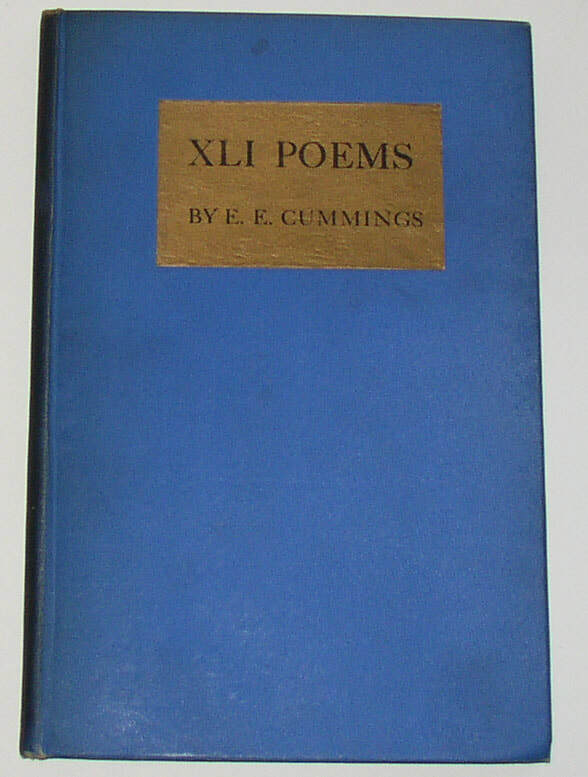 E. E. Cummings, XLI Poems, 1st US edition, 1925. New York: Dial Press, 1925. Scarce early collection of poems from Cummings, who would go on to be one of America’s most famous poets of the twentieth century. Condition: Near VG: notable darkening to the spine and top edge, perhaps from coal smoke? No dust jacket present. Otherwise clean and bright. 332. 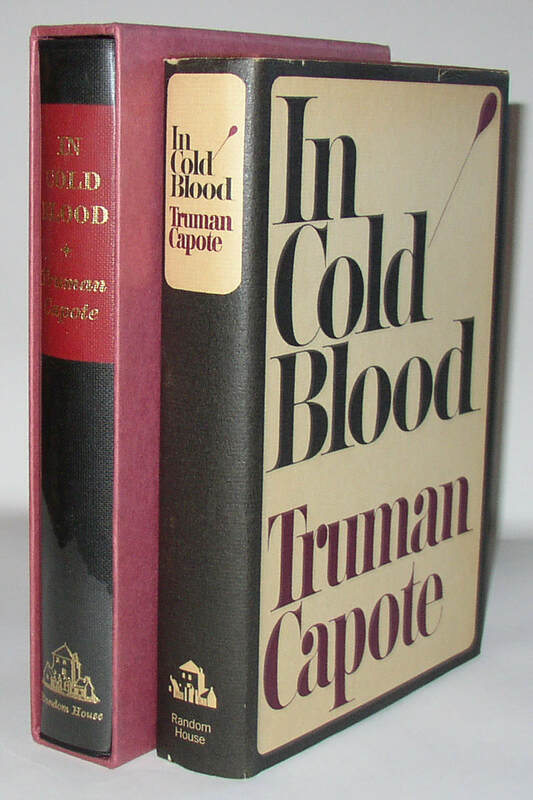 Truman Capote, In Cold Blood. Signed limited 1st edition, and 1st trade edition. New York: Random House, 1965. The signed limited edition is number 310 of 500 copies; the trade edition has the first printing statement and the original dust jacket. A great set. Condition: Signed edition Fine in Fine acetate jacket, in Near Fine slipcase. Trade edition about Fine in VG dust jacket showing some light wear around the edges. 333. 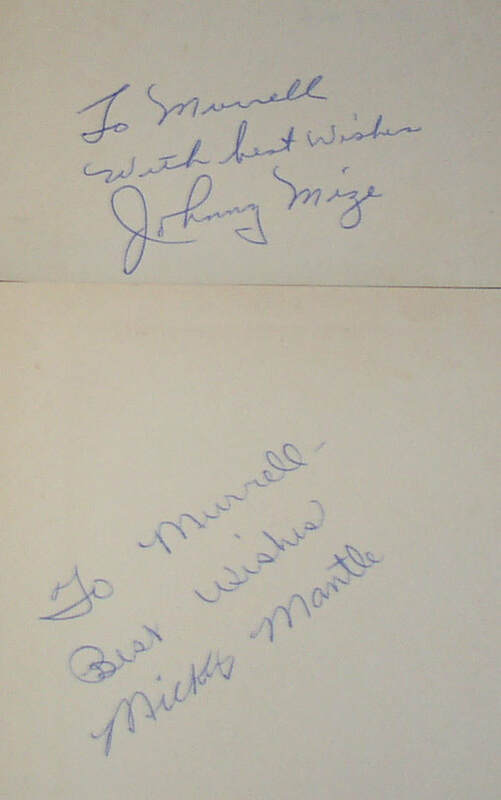 The Mickey Mantle Story and Johnny Mize, How to Hit, both signed 1st editions. 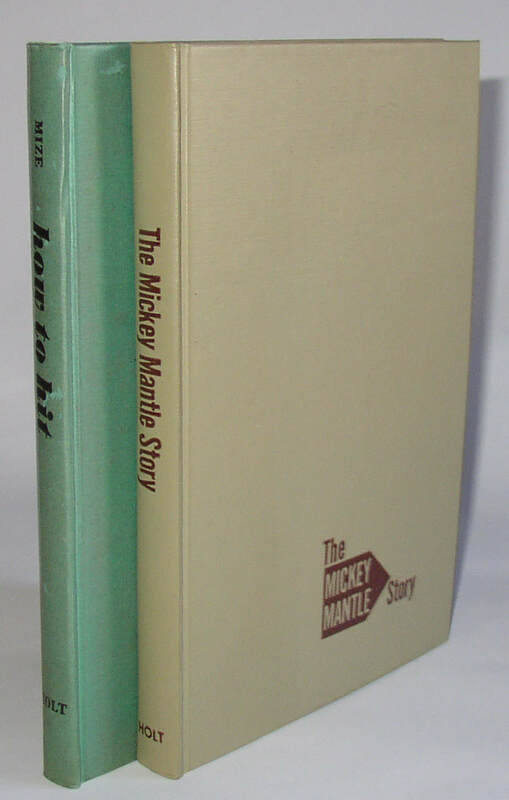 Both published by Henry Holt in 1953, and both signed and inscribed on the front free end-paper, the one by Mize and the other by Mantle. Neither has a dust jacket. Great signed copies, from two of baseball’s best. Condition: Minor scuffing and abrasion to the Mize book, minor foxing. Both books very slightly bowed. VG overall, I think. 334. 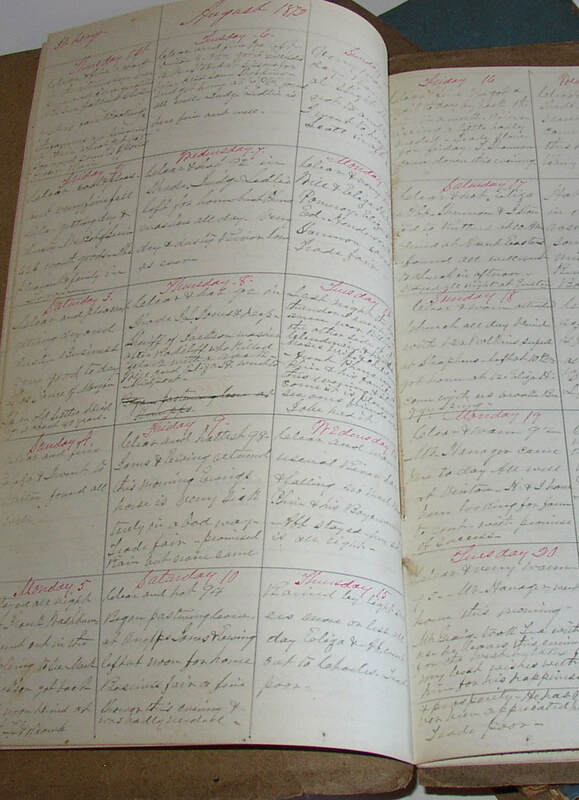 A remarkable set of diaries from an Ohio farmer/merchant dating from 1872 to 1891. 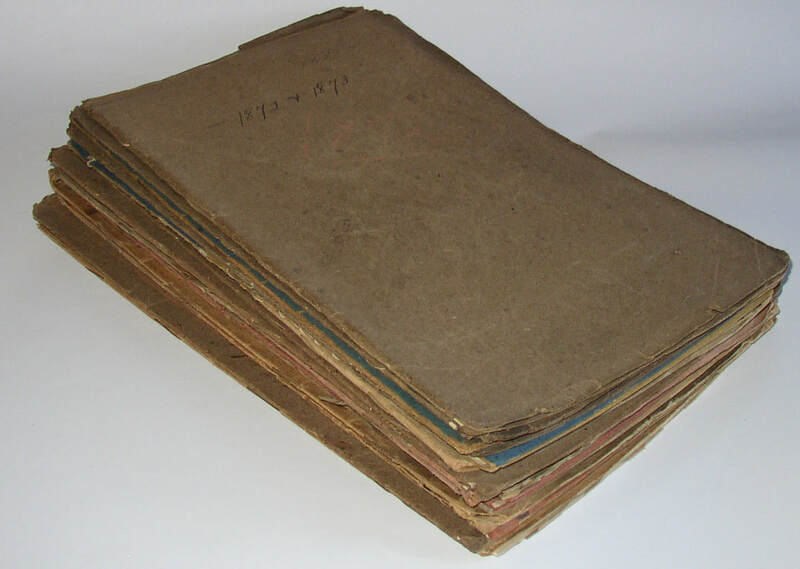 19 slim folio volumes, each about 13” tall, and usually bound in rough paper. Each opening has generally been ruled into 30 smaller squares, and virtually every square has been filled with a brief paragraph, often noting the weather but also including notes on other events. I will transcribe parts of two days from 1872 as examples. [November 1872] Friday 1st. Frost this morning. Eliza + I went to Gallipolis. Bat a 38$ coak stove of Beard + Kerns. Dined at M Riltathmas [?]. . . I contracted with Vaundam [?] for Buggy wheels in the Spring at $30—they are to be all new. Saturday 2. Rained today. 34 years today since Eliza and I were married. A long but reasonably pleasant road. The viewers viewed our Township Ally road—and such Asses I never saw. . . .Stump speeches at the Academy tonight. Not all days have such interesting material, but there are undoubtedly other gems throughout. The author was one Wililam Symmes of Cheshire Ohio, born in 1817. The last volume is marked “28th diary” and so one imagines he began this diary in the 1860s, but only nineteen volumes remain here, though they appear to run continually from 1872 to 1890. The first volume includes both 1872 and 1873; the remainder cover a single year each. A remarkable daily record covering twenty years of nineteenth-century Ohio life along the river. Condition: Near Very Good, overall. 335. 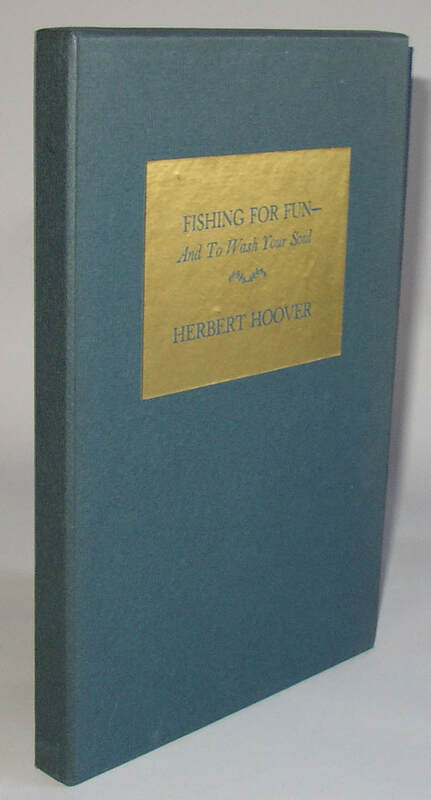 Herbert Hoover, Fishing for Fun, signed limited 1st edition, 1 of 200 copies. 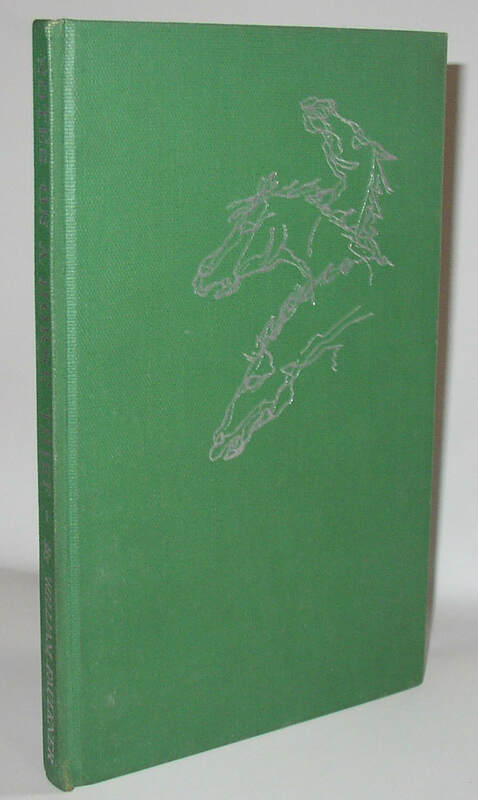 New York: Random House, 1963 Number 34 of 200 specially bound and signed copies. Scarce on the market today. Condition: Like New. Slip-case perhaps Near Fine, book is Fine. 336. 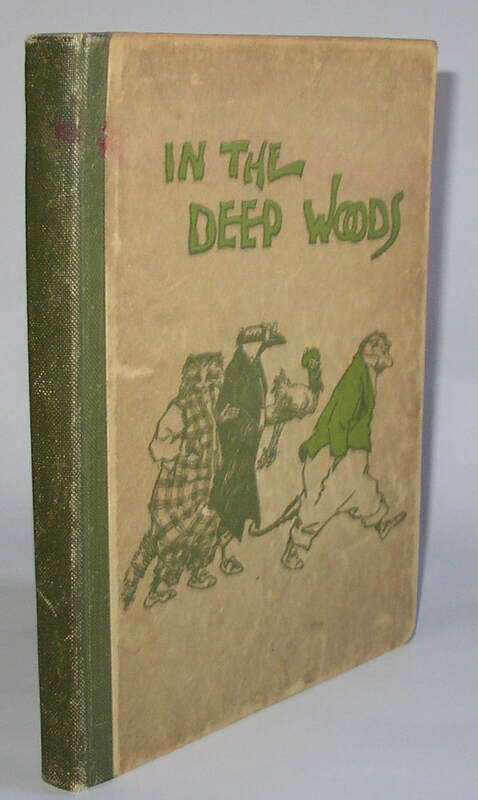 Albert Bigelow Paine, In the Deep Woods, US 1st Edition, inscribed by the author to his daughter. New York: R.H. Russell, 1899. 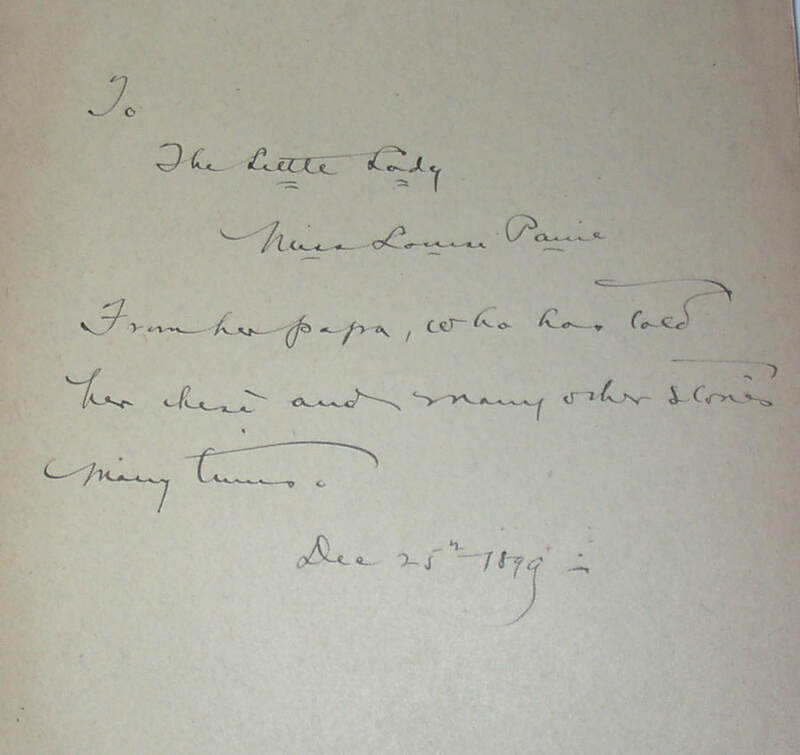 Pain’s follow up to The Hollow Tree; this copy, like the copy of that book listed above in lot 215, has been inscribed by Paine to his daughter, here identified as ”The Little Lady/ Miss Louisa Paine” and the book is a gift from “her papa, who has told her these and many other stories many times” at Christmas, 1899. Paine’s actual signature is not present, but still a wonderful copy, inscribed to the ideal recipient. Condition: Good overall, and with evidence of damp at the perimeter, affecting some pages more than others, but never intruding beyond the margin. 337. 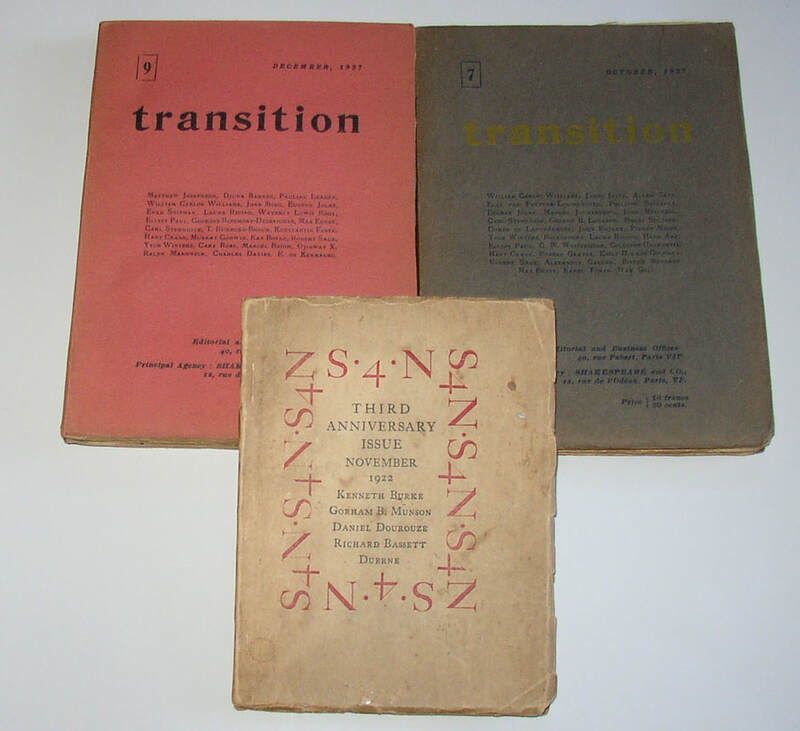 Three “little” literary magazines from the 1920s: Transition 7, 9 and S4N Nov. 1922. All three are notably fragile; the two copies of Transition are in better than usual shape. Hart Crane, James Joyce, William Carlos Williams, and many other key figures appear in one or another of these three volumes. Condition. Transition VG; S4N, about Good, with creases, wear, staining, and minor loss to wraps. 338. 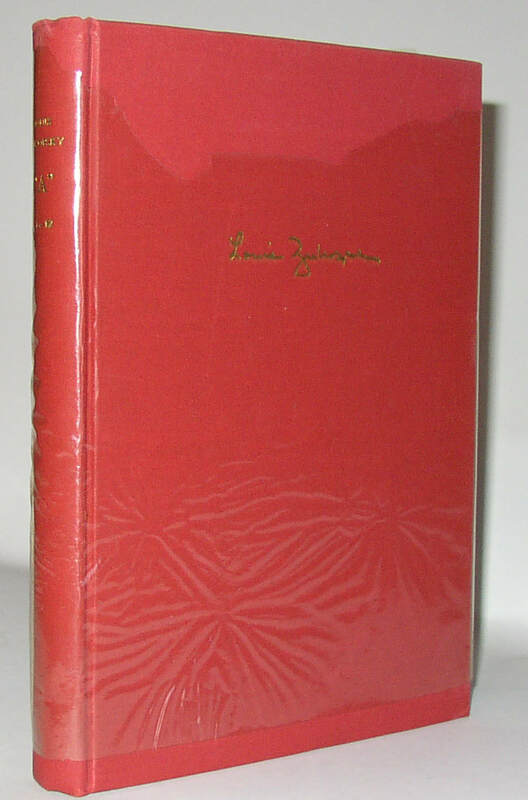 Roland Johnson, A Line of Poetry, A Row of Trees, Signed Limited 1st edition, Jargon 42. Highlands: Nantahala Foundation, 1964. 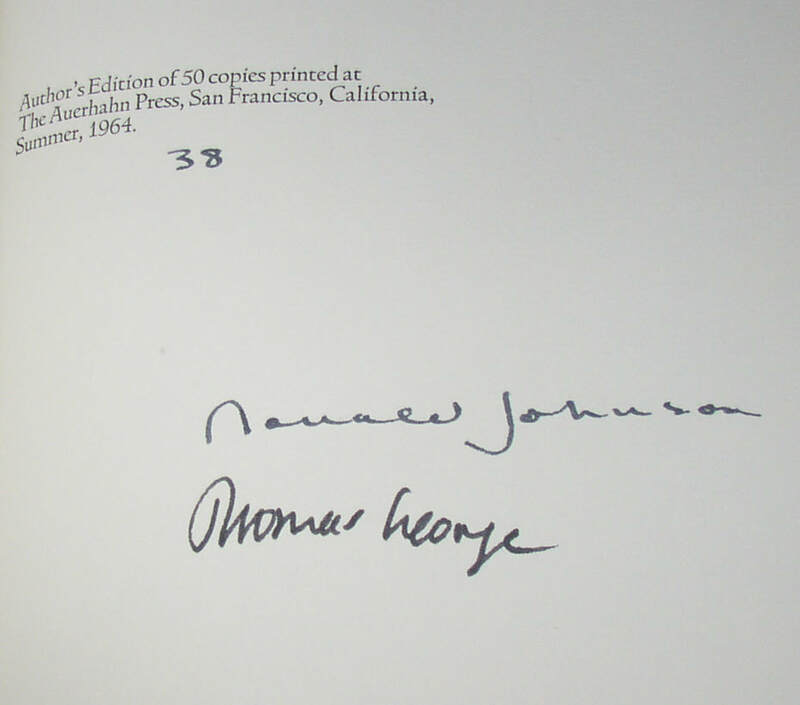 Number 38 of only 50 copies signed by both Johnson and the artist, Thomas George. Very scarce. 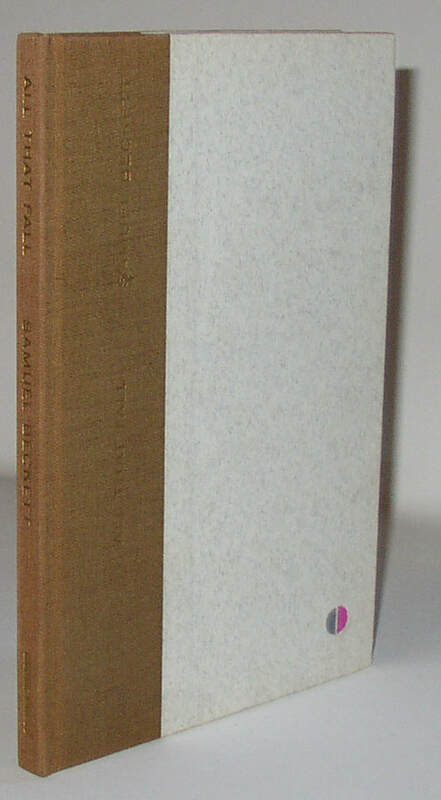 Condition: Minor darkening to the top edge of the plain paper dust jacket and one scuff or tape-pull at the center of the jacket spine (about ¼” square); otherwise close to Fine/Fine. 339. Langston Hughes. 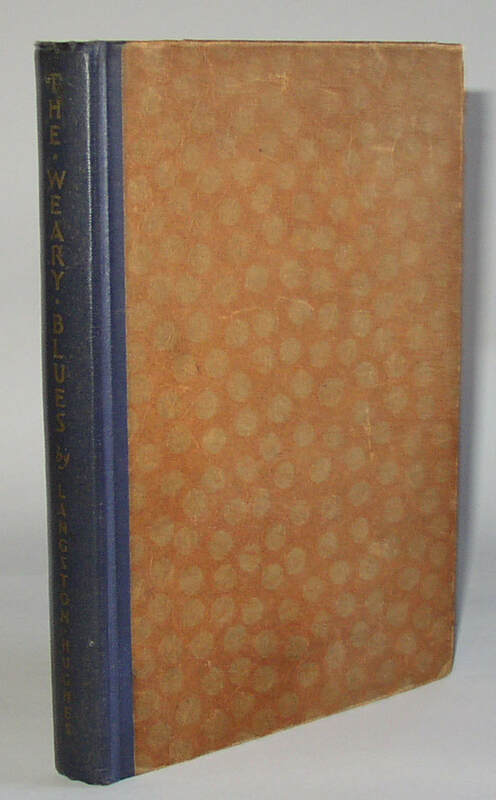 The Weary Blues, 1st edition (1926). New York: Knopf, 1926. Lacking the dust jacket. This copy has an additional poem written in by pencil on p. 95, and another on the rear end-pages; these appear to be signed or initialed by STH or STM; I have been unable to identify the signer or author, though I do not think it can be read as Langston Hughes himself. 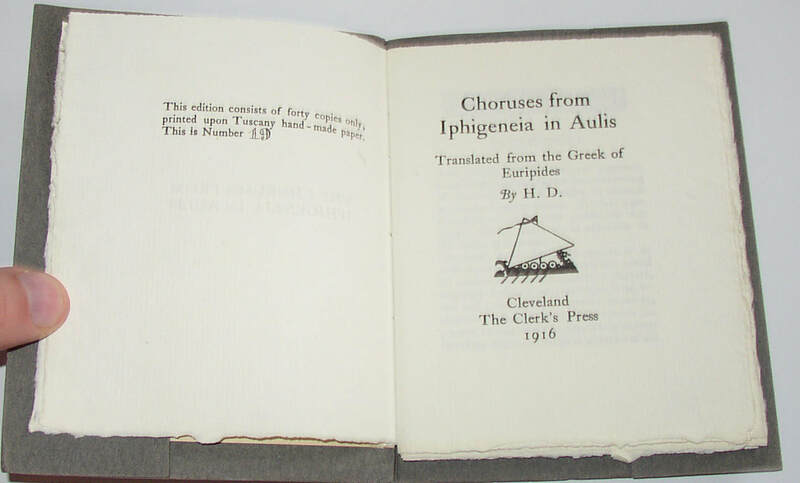 Even so, an interesting copy in that an early owner was moved to add more poetry to this first book of Hughes’s. Condition: Good or Good Plus, with general wear. 340. 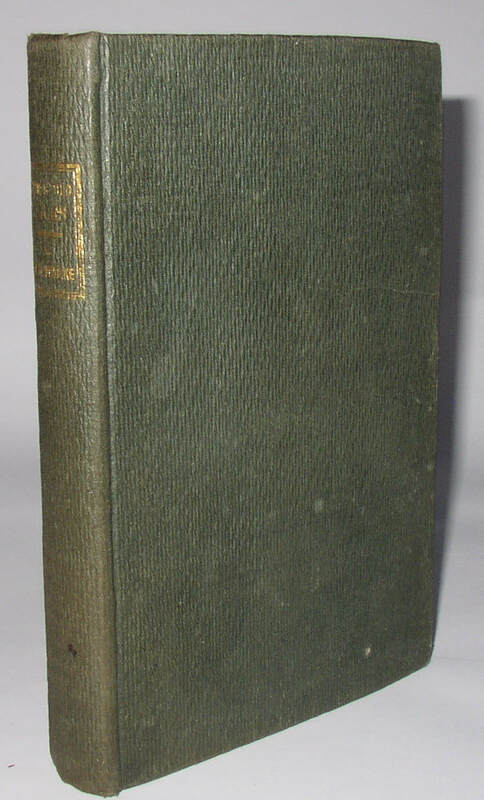 Nathaniel Hawthorne, Twice-Told Tales, 1st edition in exceptional condition. Boston: American Stationers Co, 1837. 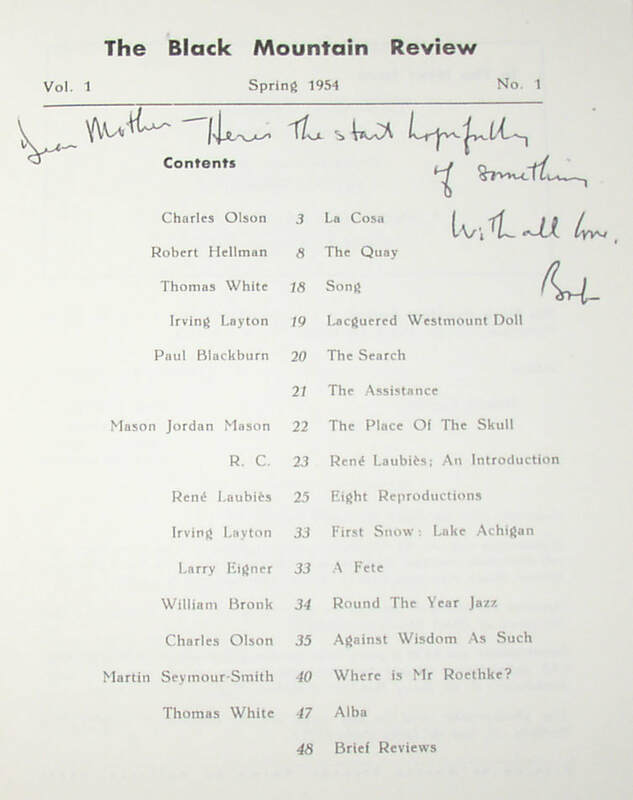 With the fifth story listed on the contents page as starting on p. 78, although it actually starts on p. 77: thus the first state of the first edition. This copy is exceptionally square and straight in the original binding, with the gilded printing on the spine still easy to read. 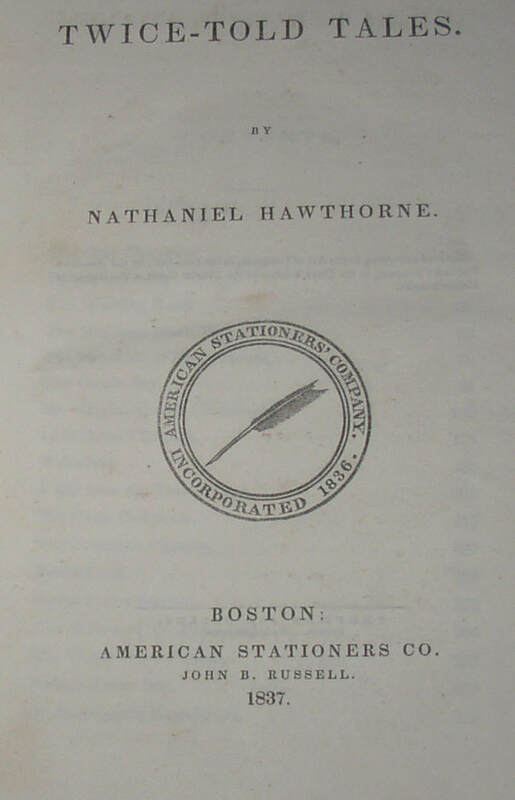 Hawthorne’s breakthrough book, and it is very difficult to find copies in such nice shape. Condition: some mild spotting and discoloration on the exterior cloth, as if from handling. Two older collector’s bookplates on inside front board. Very slight turning-in at the tips of the boards. Close to Near Fine overall, I think. Certainly better than VG. Now housed in a clamshell box. 341. 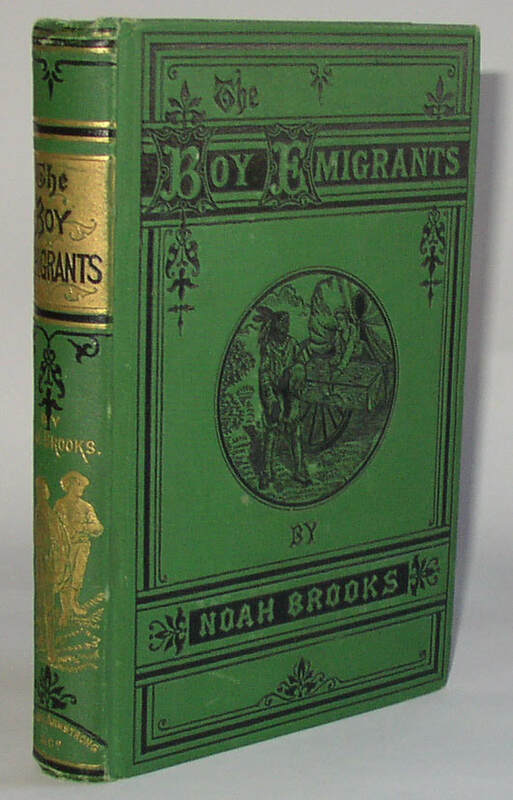 Noah Brooks, The Boy Emigrants, signed 1st edition, 1877. New York: Scribner, Armstrong & Co., 1877. 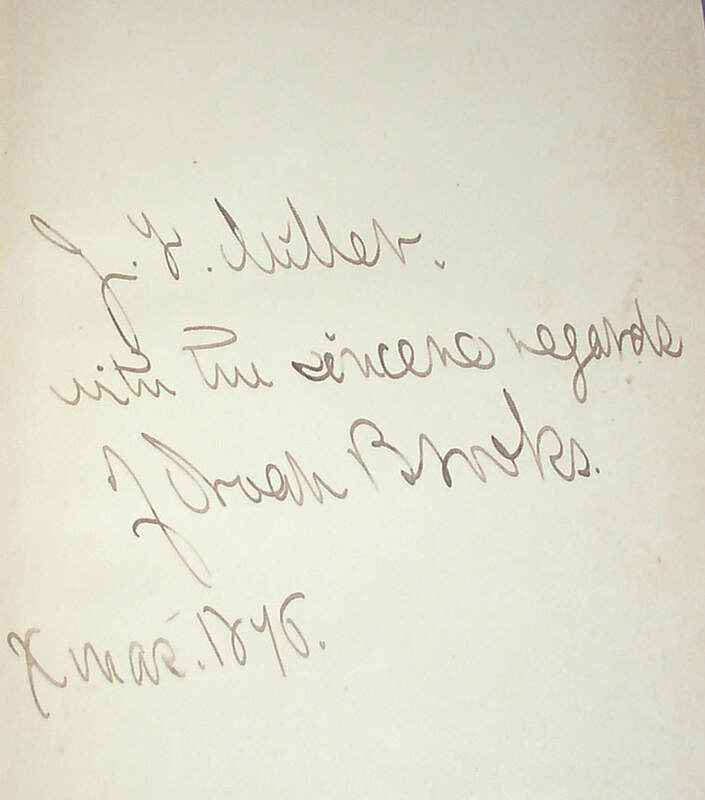 Signed and inscribed on the front free end-paper by Brooks, who dates the inscription “Xmas 1876”; the book was copyrighted in 1876, but reads 1877 on the title page; I believe this is a first edition, and that the book was probably released in advance of the actual publication date in early 1877. An early copy of the book with a fine authorial inscription. Condition: bumping at spine ends, and a couple of small spots on the rear board. Very attractive. VG. 342. 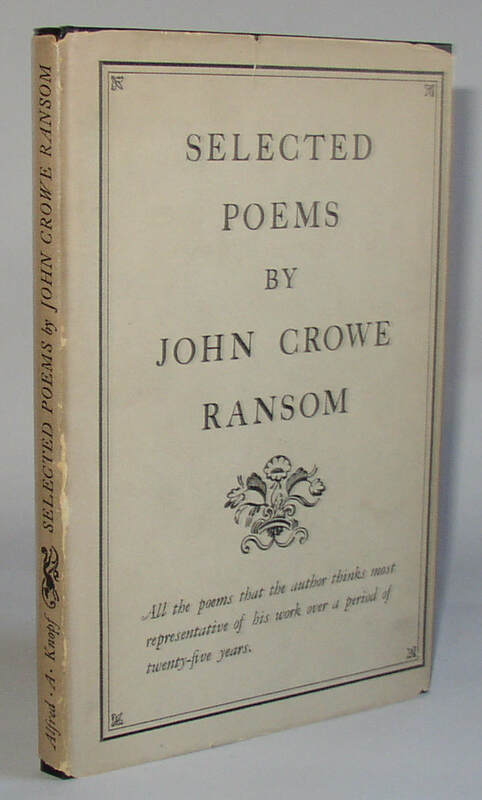 John Crowe Ransom, Selected Poems, signed and inscribed 1st edition in dust jacket. New York: Knopf, 1945. First Edition stated. 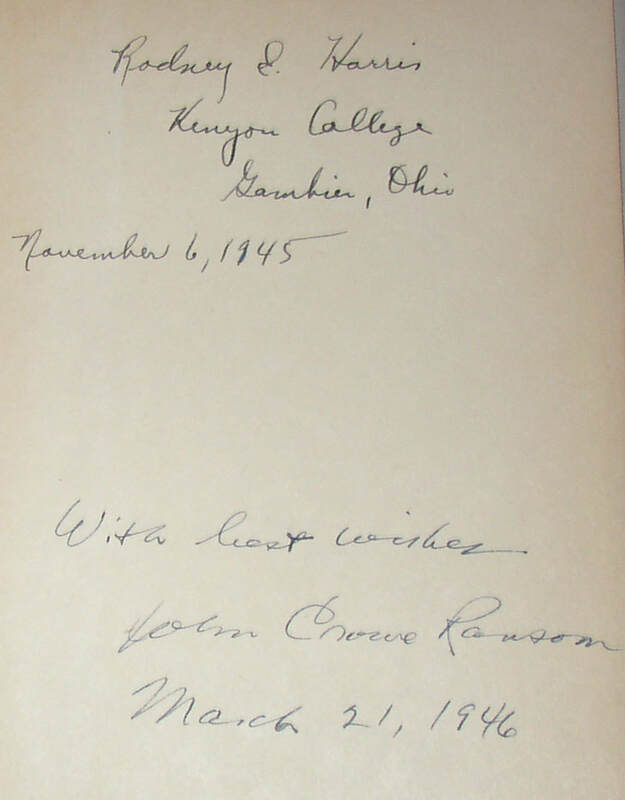 With a previous owner’s inscription, dated November 6, 1945, and located at Kenyon College in Gambier, Ohio, where Ransom taught. Subsequently inscribed by Ransom and dated March 21, 1946. Scarce when signed. Condition: Book is Near Fine, with usual browning at the gutters, presumably from glue. Jacket with some chips and tears, near VG. 343. 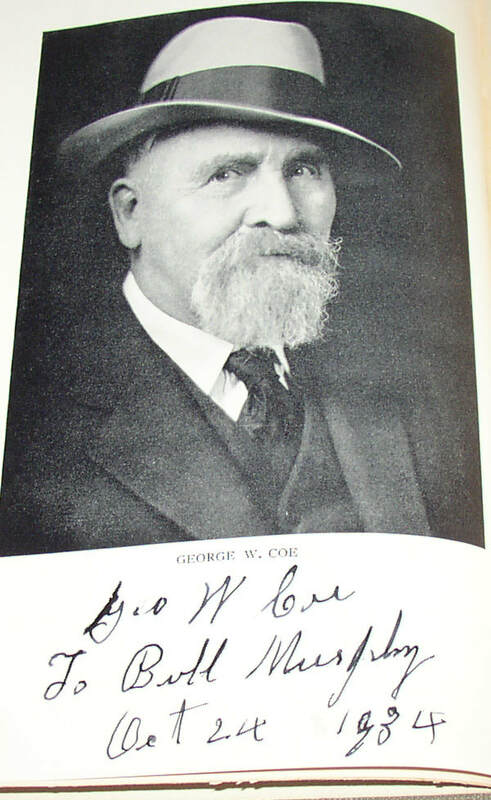 George W Coe, Freedom Fighter (autobiography); 1st edition signed by Coe. Boston: Houghton Mifflin, 1934. An autobiography of the “As Told To” type. 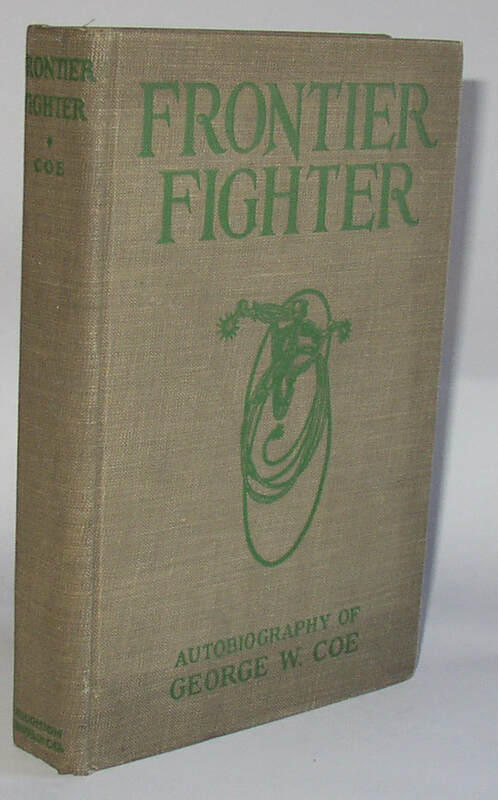 Coe, as the subtitle suggests, “Fought and Rode with Billy the Kid.” A key Western American autobiography, this copy inscribed by Coe below his frontispiece portrait, and very scarce as such. Condition: No dust jacket present; book is Very Good, with some minor soiling. Printer and place not noted. 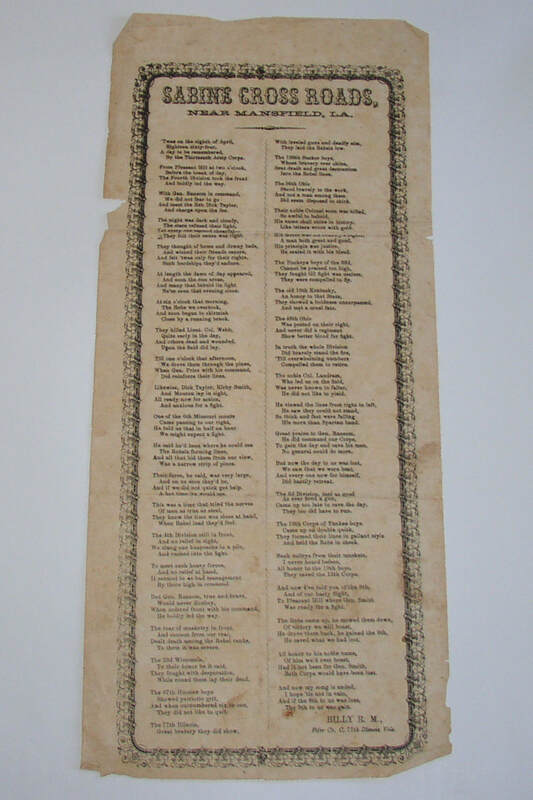 This poem, by William R. Moore, is credited here to “Billy R. M., Fifer, Co. C, 77th Illinois Vols.” Nearly 15” long; printed in two columns. A scarce bit of Civil War ephemera’ OCLC/WorldCat appears to record only two holdings, at Harvard and at the Abraham Lincoln Presidential Library. Condition: folded, with some staining and minor losses that do not touch the printing. 345. 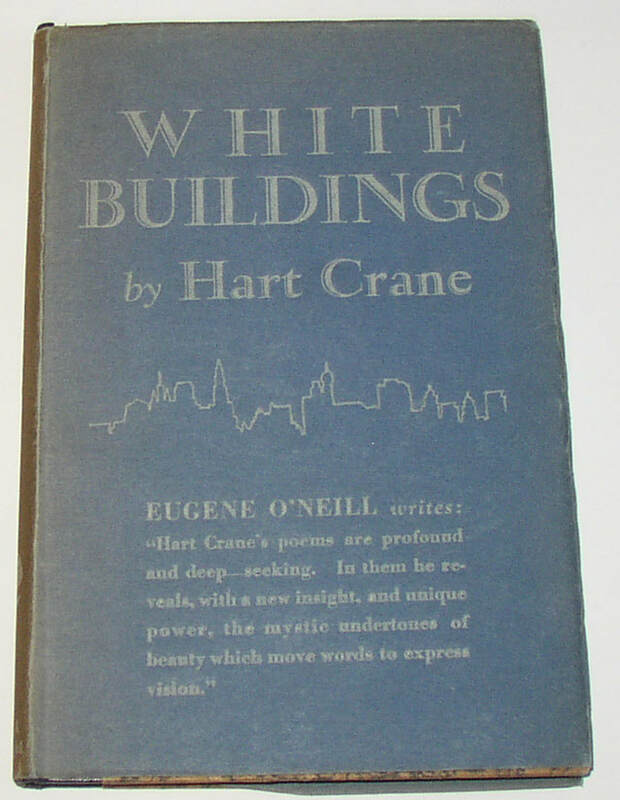 Hart Crane, White Buildings, 1st edition in original dust jacket; 1st state book. New York: Boni & Liveright, 1926. 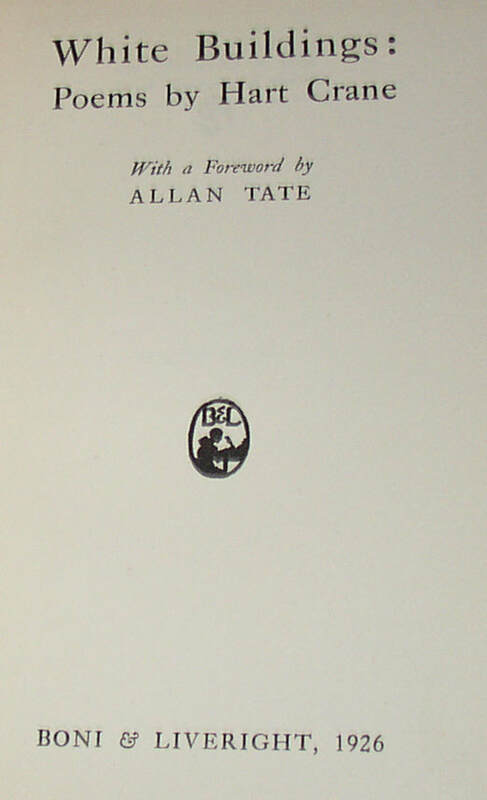 First state of this book with Allen Tate’s name misspelled (“Allan”) on the title page. Incredibly scarce in the original jacket; only 500 copies (of the two states combined) printed. 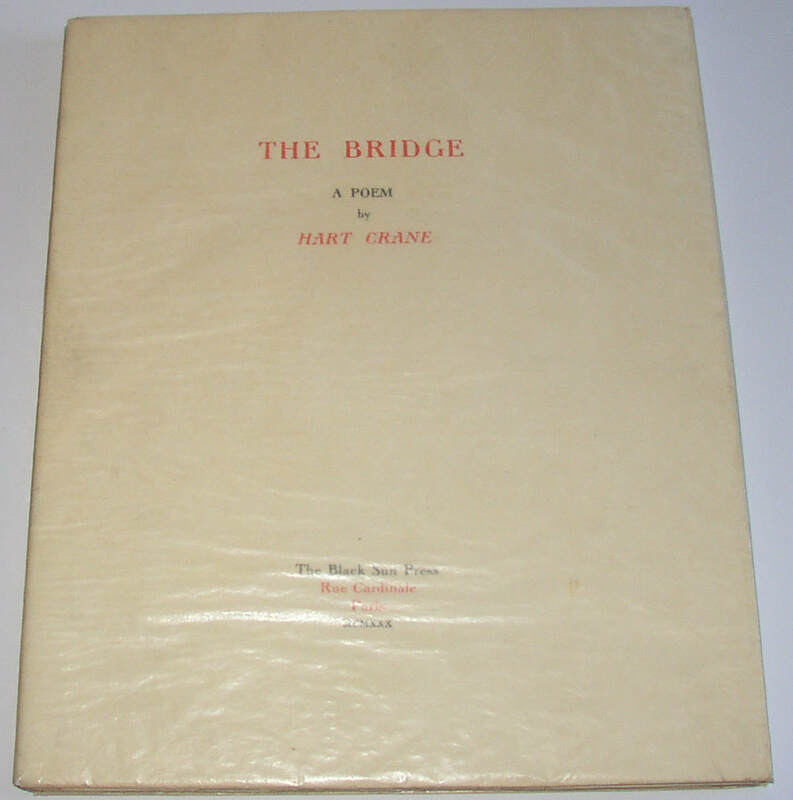 Crane’s first book. Condition: Book is close to Near Fine; jacket is VG with fading to the spine, and a couple small chips, none deeper than 1/8”, but one about ¾” long. 346. 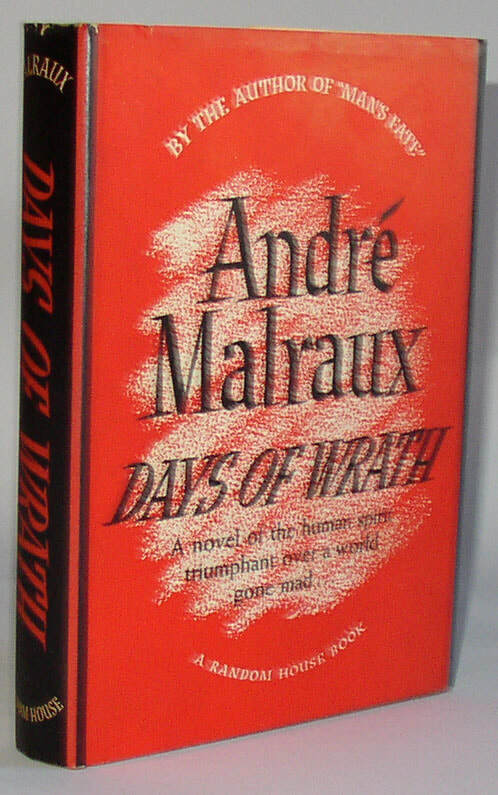 Andre Malraux, Days of Wrath, US 1st edition, signed by author. New York: Random House, 1936. 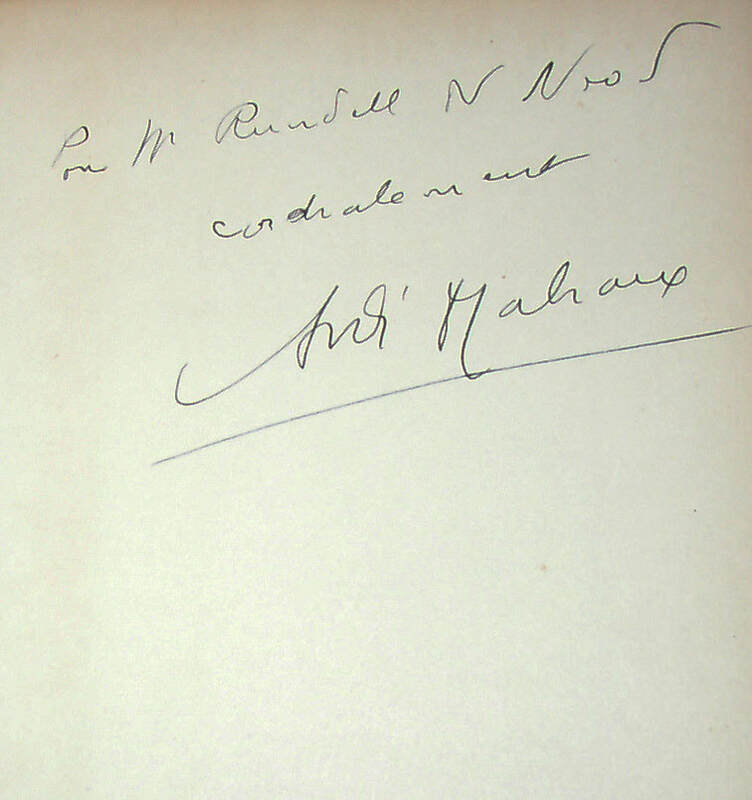 First printing stated; singed and inscribed (in French) on the front end-paper by Malraux. Incredibly scarce signed, this copy is also very handsome and very well preserved. Condition: Near Fine/Near Fine: minor browning at extremities, just a few very small nicks to edges of jacket. A beautiful copy overall. 347. 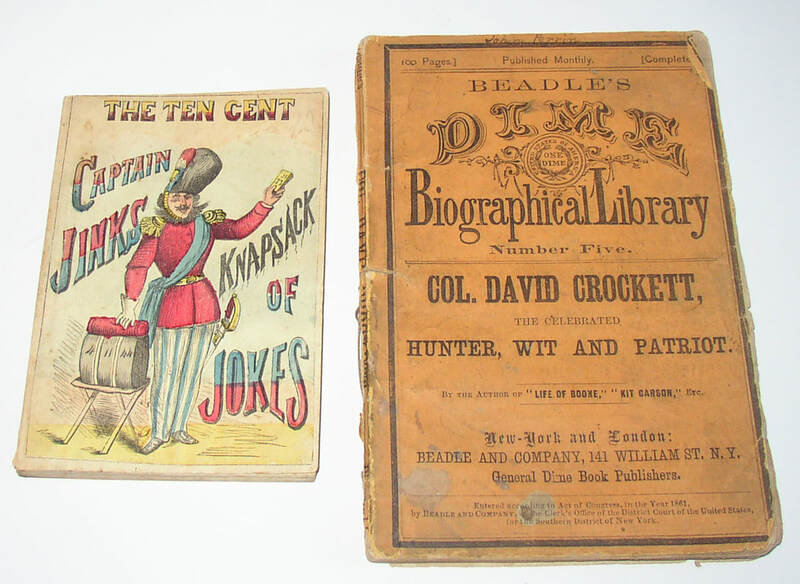 Two rare 19th-century children’s books: Beadle’s Biography of Col David Crockett and Captain Jinks Knapsack of Jokes. Beadle and Company, 1861 and Robert M DeWitt, 1869. Both very scarce indeed, and both highly collectible. The bio of Davy Crockett is especially collectible. Condition: Crockett with rear wrapper gone and with final page detached, but present. Textually complete. Knapsack, with beautiful colored front cover, and in VG condition. 348. 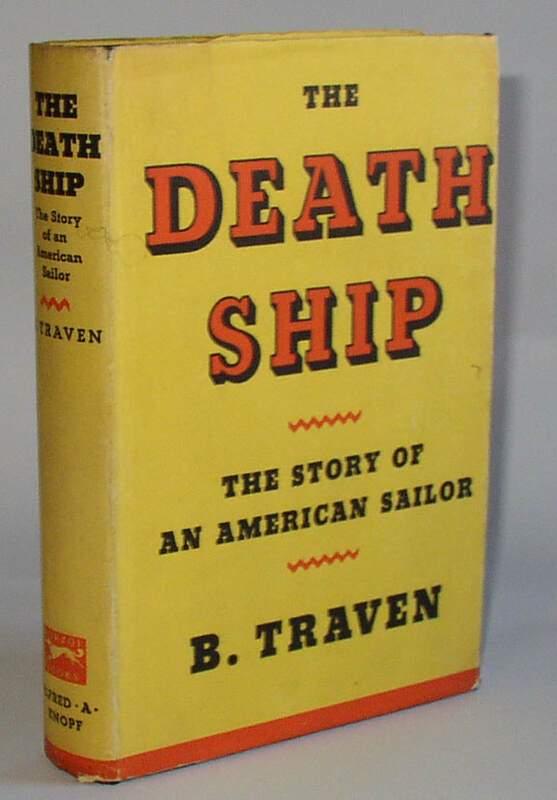 B. Traven, The Death Ship, Us 1st edition in original dust jacket. New York: Knopf, 1934. First printing stated. First American book by this collectible author, most famous for Treasure of the Sierra Madre. A collectible book in collectible condition. Condition: Book is close to Near Fine, with a previous owner’s inscription (dated 1936) on the inside end-paper, and the price-clipped jacket is VG, with some minor wear at the edges and corners. 349. Small painting by well known book-illustrator Will Rannells. Framed, size of image approximately 5” by 7”. 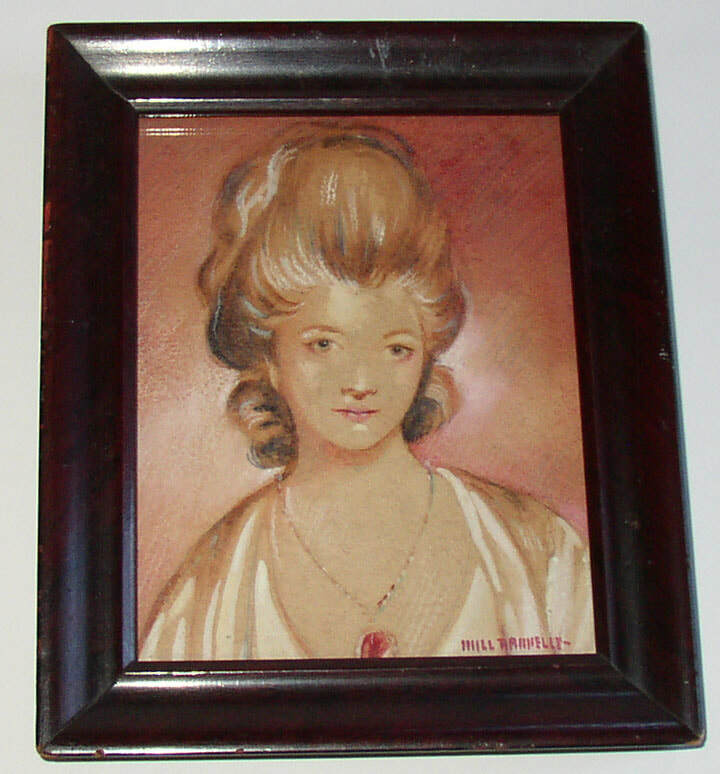 A small portrait-style painting of a young woman, apparently watercolor highlighted by pastels. An original work, not a print or reproduction. Signed in the lower right hand corner. Not examined out of the frame. Rannells was, at least for a time, based in Columbus, Ohio; his greatest fame is probably as a painter of dogs. This little painting does have a real appeal, however. 350. 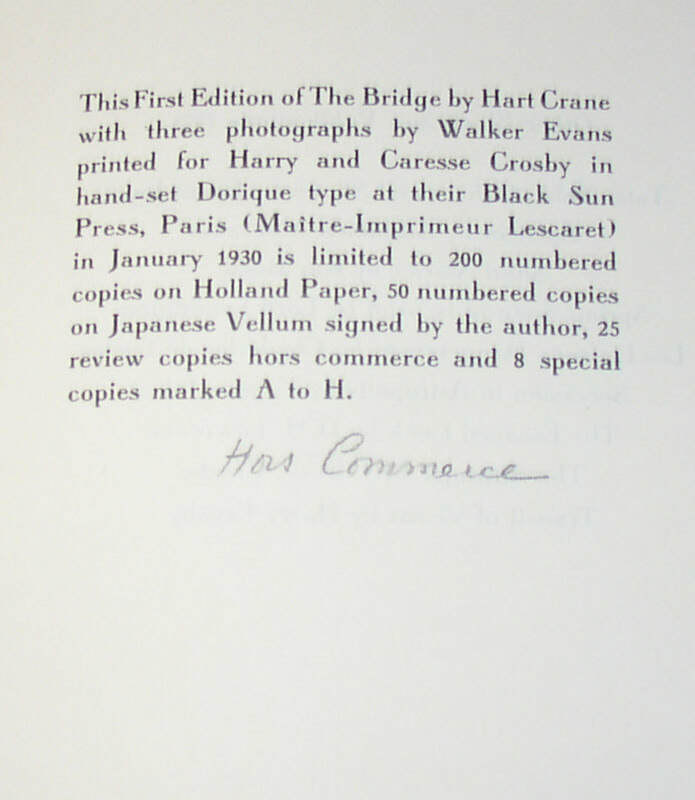 Hart Crane, The Bridge, Scarce Advance Copy of the Black Sun Press 1st edition. Paris: Black Sun Press, 1930. One of only 25 copies marked as Advance copies “Hors Commerce.” With three photographic images by Walker Evans. 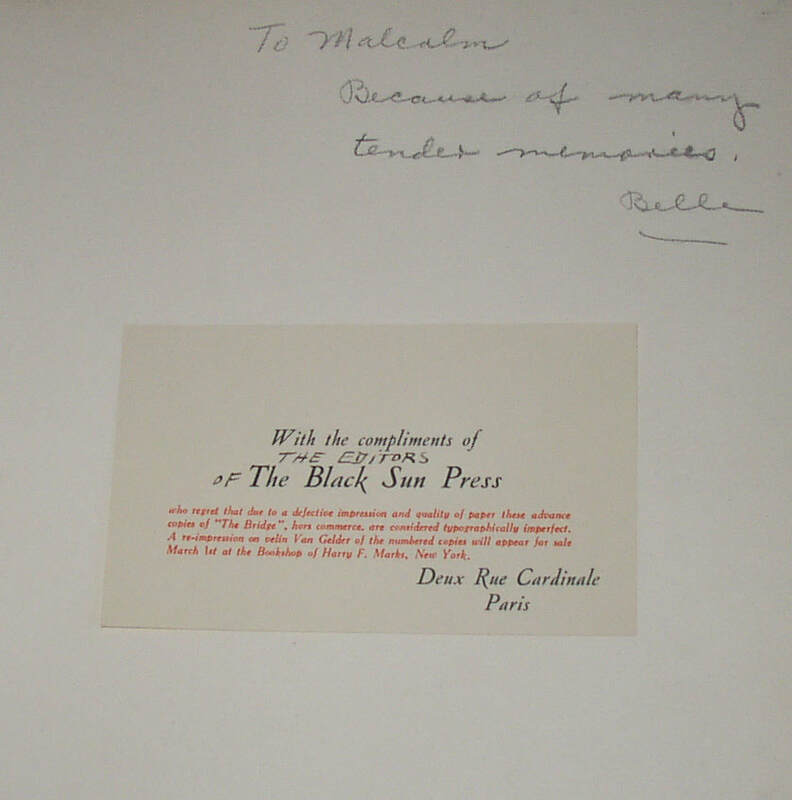 Laid in is a small card reading “With the Compliments of \the Editors of/ The Black Sun Press,” describing the Advance copies as “typographically imperfect.” With a pencil inscription “To Malcolm, Because of many tender memories/ Belle.” [Perhaps for Malcom Cowley?]. A very scarce and collectible book. Condition: Near Fine, although the final bifolium, including the colophon, is not sewn in and is loose; glassine jacket is also close to Near Fine; no slipcase is present now, and I am not certain if the review copies had slipcases. Now held in a modern clamshell box.